Last year saw two seismic shifts in Ukraine’s public procurement landscape: accession to the World Trade Organization (WTO) Agreement on Government Procurement (GPA) and the introduction of electronic procurement for the purchase of goods, works and services by government bodies. These changes, delivered with EBRD support, seek to completely transform public procurement in Ukraine, opening a new era of transparency after decades of endemic corruption linked to government contracts. They are also expected to generate huge savings for the public purse, improve the quality of public service delivery and help promote economic growth. 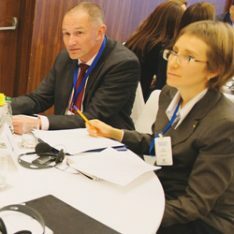 Particularly as a result of ProZorro, the country’s new electronic procurement system, large numbers of local suppliers are learning to trust the public procurement market for the first time and participate in bidding, which means competition is growing and Ukrainian taxpayers are getting better value for money. ProZorro also constitutes a model for civil society-led reform projects. WTO GPA accession allows businesses from other GPA countries to bid for Ukrainian public contracts, further stimulating competition while also giving the Ukrainian authorities access to the best suppliers the world has to offer. At the same time, becoming a member of the WTO GPA hugely increases the size of the procurement market available to Ukrainian businesses, creating major new growth opportunities for them. In particular, GPA membership gives Ukrainian companies equal access to procurement markets within the European Union (EU), without having to wait for Ukraine’s EU accession process to be finalised. WTO GPA accession and e-procurement represent the first successful efforts to modernise Ukraine’s public procurement in a decade. One long-lasting legacy of the Soviet era was a procurement regime controlled by the country’s ruling elite and exploited in their financial and political interests. A dense network of red tape ensured that discretionary decisions about the awarding of public contracts remained hidden from public scrutiny. As well as creating the conditions for opportunistic nepotism and bribery to proliferate, this lack of transparency allowed vertical schemes for the shadow funding of political parties to flourish. The cost to Ukrainian taxpayers was huge. Typically, procurement spending represents some 10 to 20 per cent of GDP and accounts for up to 50 per cent of direct government expenditure. Ukraine’s public procurement budget is valued at 250 billion hryvnia (€8.7 billion equivalent) annually. In 2015, the government estimated that about 50 billion hryvnia (€1.74 billion equivalent) per year was lost to corruption in procurement. Starting in 2006, the Ukrainian government made several attempts to reform the procurement system. These met with little success and some of the changes even seemed designed to work against the promotion of transparency: many of the more than 20 amendments to the 2010 Public Procurement Law (PPL) introduced exemptions to the rules requiring competitive tendering, thereby increasing the scope for discretionary decision-making about the awarding of public contracts. The Bank’s Legal Transition Programme remained a steadfast partner throughout the uncertainty, helping to ensure that the country’s ambitious procurement reform agenda stayed on track while achieving maximum impact. The Ukrainian authorities sowed the seeds for more meaningful procurement reform in 2011 when they asked the EBRD for assistance with their application to join the WTO GPA. This agreement aims to open government procurement markets up to international competition and provide legal guarantees of non-discrimination with regard to the products, services or suppliers of any party to the agreement. Because the GPA commits parties to high levels of transparency, accession to the agreement is an important signal of a country’s commitment to good governance and a valuable weapon in the fight against corruption. There are also huge economic benefits associated with GPA membership. Parties to the GPA include Canada, the EU, Japan, New Zealand, Norway, Republic of Korea, Switzerland, Taipei China and the United States of America (USA). Government procurement accounts for an average of 15 per cent or more of gross domestic product in developed and developing countries. As a result, GPA members have access to a worldwide procurement market valued at some US$ 1.7 trillion (€1.6 trillion equivalent) per year. Countries are required to negotiate accession to the GPA on joining the WTO, which for Ukraine occurred in 2008. The EBRD is committed to helping those of its countries of operations pursuing accession to the GPA with the long and complicated membership negotiation process. In 2012, a year after the Bank began working with Ukraine on this issue, the WTO adopted a revised GPA that created modern policy standards, including new provisions relating to the prevention of corrupt practices, and expanded trade access for GPA parties. An important part of the new GPA text, which came into force in April 2014, related to the use of e-procurement tools for public tenders. The revisions to the GPA provided further motivation for a number of countries to consider accession to the agreement as a step in their reform process. This growing interest prompted the EBRD and the WTO GPA Secretariat, which had already collaborated informally on promoting increased membership, to cooperate in a more structured way, resulting in the creation of the EBRD GPA Technical Cooperation Facility (the EBRD GPA TC Facility). Launched in May 2014, the EBRD GPA TC Facility provided Ukraine and four other countries with an assessment of their legal compliance with the standards of the GPA and with policy advice throughout the GPA accession negotiation process. The donor-funded instrument also promoted capacity building through training sessions and conferences and delivered technical advice on bringing national procurement legislation in line with GPA standards. The EBRD maintained this cooperation with the Ukrainian authorities throughout the political crisis that erupted in early 2014 when protests on Kiev’s Maidan square led to the departure of President Viktor Yanukovych. Ukraine adopted new public procurement legislation in April 2014. This was revised in September 2015 and again in December 2015 to reflect the mandatory GPA standards. Ukraine completed its GPA accession negotiations in November 2015, ratified its accession to the WTO Agreement in April 2016 and officially joined the GPA in May of that year. The changes, delivered with EBRD support, seek to completely transform public procurement in Ukraine, opening a new era of transparency decades of endemic corruption linked to government contracts. Following accession, the EBRD continues to work closely with the Ukrainian government on implementing the reforms required by the GPA. The Bank is also working with Ukrainian businesses to encourage them to compete for public tenders in GPA countries. In particular, the EBRD’s Trade Facilitation Programme (TFP) provides Ukrainian companies with advice and financial support regarding procurement opportunities now open to them in Europe and globally. The second major change to the government purchase of goods, works and services in Ukraine is the introduction of electronic procurement. Electronic exchange of tender information and documents increase the speed and efficiency of purchasing processes. In addition, electronic tendering removes much of the opportunity for dishonest practices – such as soliciting bribes for preferential treatment – that can arise in paper-based procurement systems. Without e-procurement, even the best public procurement legislation is open to abuse by unscrupulous officials when it comes to implementation. In Ukraine, the Maidan revolution of early 2014 provided a significant opportunity to renew efforts to combat corruption in the public procurement system. At the time, this system involved more than 16,000 contracting authorities and 25,000 tender committees. These oversaw more than 1.5 million transactions per year, of which about 100,000 were above the thresholds of 100,000 hryvnia (€3,480 equivalent) for goods and 1.5 million hryvnia (€0.052 million equivalent) for works. The change of government saw a large number of civil society activists, many of whom had a track record of campaigning against corruption, take up positions in the new administration. The new PPL of April 2014 reduced from 43 to 13 the number of types of public contract that were exempt from competitive tendering, while also bringing Ukrainian legislation closer to EU standards and the requirements of the WTO GPA. In late 2014, a new draft law that sought to implement e-procurement went before lawmakers but failed to win enough support to pass into legislation. Faced with this reversal, the Deputy Head of the Presidential Administration, Dmitry Shimkiv, suggested launching a pilot e-procurement project in order to establish the potential benefits of electronic tendering and purchasing and to help understand how it could be regulated. The pilot would apply to below-threshold tenders. These account for around half of Ukraine’s procurement budget but, because they were not regulated by Ukrainian procurement legislation, a pilot project could proceed without the need for a government licence. The EBRD’s Trade Facilitation Programme (TFP) provides Ukrainian companies with advice and financial support regarding procurement opportunities now open to them in Europe and globally. To launch the pilot project, officials drew on a civil society initiative led by Transparency International Ukraine called ProZorro. The project (whose name means “transparent” in Ukrainian) is the result of what ProZorro’s promoters describe as a “golden triangle” of partnership between civil society, businesses and regulators. In keeping with this model of maximum stakeholder participation, ProZorro promotes open data, relies on open-source software and draws on crowdfunding and donations to meet its costs. A pilot of ProZorro was launched in February 2015 for voluntary use by contracting authorities for micro-value procurement transactions. Thanks to its successful early results, in April 2015 ProZorro volunteer Olexandr Starodubtsev was appointed to a regulatory position in charge of public procurement reform in Ukraine, further strengthening the collaboration between the government and civil society on the pilot. The EBRD contributed to ProZorro by working with two technical experts on the design of the e-procurement concept. 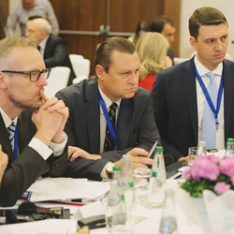 The experts, David Marghania and Tato Urjumelashvili, had implemented electronic procurement reforms in their home country, Georgia, and worked with the Bank on public procurement reforms in the Kyrgyz Republic, Mongolia, Tajikistan and Tunisia. 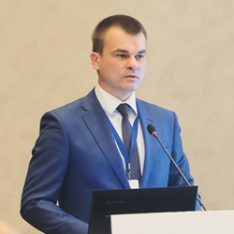 For the Ukrainian public procurement market the pair devised a hybrid model that stores all procurement data in one central database, but allows suppliers and contracting authorities to access that data from a number of different electronic platforms, choosing the one that best serves their needs. This multi-platform model allowed ProZorro to take advantage of the large number of existing commercial electronic platforms in Ukraine. As well as avoiding the costs and potential technical difficulties associated with building a single platform from scratch, this hybrid approach kept ownership of the platforms within the private sector. E-platforms charge suppliers a small access fee, part of which is used to pay for the administration of the central database unit. As a result, both the platforms and the central unit remain financially independent from any political decisions. Using an application programming interface (API), all the platforms in ProZorro are connected to the central database and information about any public tender announcement is shared with them and their users simultaneously. Stakeholders can use any commercial platform linked to the central unit to ask questions and submit bids. All data formats, tender procedures and other rules are standardised and made uniform for all of the commercial platform operators. Information relating to the tender process, including suppliers’ offers, can be accessed and monitored by anyone. All of the data from ProZorro is structured in line with the Open Contracting Data Standard,2 making cross-country data comparison and analysis possible. The code for the central database is based on the open-source Apache 2.0 licence, free software licence written by the Apache Software Foundation, an American non-profit corporation. It is freely available for download on the internet. Opening of the source code allows Ukraine’s very strong programming community to help improve the system and helps other countries wishing to implement a similar system. Civil society plays a role in monitoring the ProZorro system through a business intelligence (BI) module that is open to everyone. The creation of this module was made possible thanks to a donation from Qlik, a leading BI software company based in the USA. The low costs of the ProZorro pilot were covered by the donation from Qlik, EBRD funding for the technical experts and a US$ 35,000 (€33,000 equivalent) contribution to Transparency International Ukraine from the seven commercial platform operators involved in launching the project. Owing to Transparency International’s very strong reputation, its role in the pilot project was a key factor in eliciting funding from private and international donors. Volunteers from Ukrainian IT companies and business schools and other individuals worked for the project on a pro bono basis. The results of the pilot project were very encouraging. By March 2016, more than 3,900 governmental organisations from across Ukraine had joined ProZorro and saved more than 1.5 billion hryvnia (€52.2 million equivalent). These public agencies in the fields of defence, policing, customs, health, infrastructure and energy, among others, had awarded more than 85,000 tenders through ProZorro by July 2016. The pilot was supported by more than 30 training sessions organised in the Ukrainian regions, in addition to online training. Based on the lessons learned from ProZorro, the Ukrainian parliament passed new legislation on public procurement in December 2015. 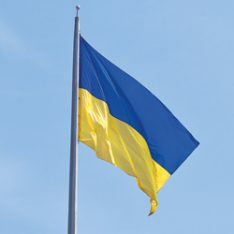 This came into effect on 1 August 2016, making electronic procurement procedures conducted on ProZorro mandatory for all purchases by all public bodies in Ukraine. 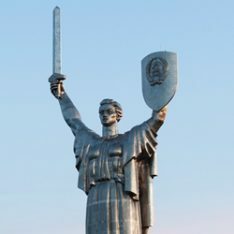 Ukraine’s National Reforms Council has recognised the value of ProZorro and lauded public procurement as the most successful reform in the country. ProZorro’s achievements received international acknowledgement when the project won the prize for best public sector initiative at the prestigious World Procurement Awards in London in May 2016, beating entries from Australia, the UK and the USA. Now that e-procurement is a reality in Ukraine, the focus of EBRD work in this area is on making sure ProZorro delivers procurement that is suitable for different types of public contract and is compliant with WTO standards. Another concern is to provide training that helps public bodies and suppliers get the most out of the new system. In addition, the EBRD is working to give civil society the tools to effectively monitor electronic public procurement procedures. In cooperation with Transparency International Ukraine and the Partnership for Transparency Fund, the EBRD set up a project funded by the Czech Republic and the EBRD-Ukraine Stabilisation and Sustainable Growth Multi-Donor Account. This project works on developing tools for monitoring electronic procurement conducted on ProZorro. It will also provide training for civil society organisations so that they can use these new tools to monitor local and municipal procurement transactions as effectively as possible. Robust independent monitoring of ProZorro is important for the credibility of the new system and builds confidence in the wider investment climate. Potential investors also need to know that there is an effective complaints mechanism for private contractors bidding for public contracts. The Anti-Monopoly Committee of Ukraine (AMCU), the public procurement review body, needs to handle complaints swiftly and transparently to establish the trust of investors and ensure the smooth running of the procurement market. For this reason, an EBRD technical cooperation project will provide high-quality judicial skills training for the AMCU. This will take into account key tribunal competencies, such as how to conduct hearings, find best remedies and manage conflicts of interest. 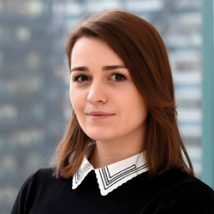 “What has been achieved in Ukraine is an overhaul of the entire system of public procurement, sparked and delivered by civil activists and marked by their determination to change the relationship between the public and private sectors in Ukraine,” says Eliza. “With the WTO GPA accession process providing a global policy context, ProZorro has gained the trust of local business thanks to its innovative approach and robust review and remediation procedures. What has been achieved in Ukraine is an overhaul of the entire system of public procurement. Non-performing loans (NPLs) are a millstone around the neck of emerging Europe’s banking system that is preventing the region from achieving its full growth potential. NPLs – meaning loan agreements with a non-payment default extending over a certain period, typically 90 days – are a legacy of the global financial crisis and accounted for €53 billion in the economies of central, eastern and south-eastern Europe (CESEE) at the end of June 2016. These high and still-rising levels of loan delinquency act as a constraint on banks’ ability to provide fresh funds to businesses for working capital and investment, thereby limiting economic growth. Resolving NPLs is a priority for governments, financial institutions and multilateral organisations in emerging Europe – as well as in much of western Europe. The severity of the problem led the EBRD to join forces with the International Monetary Fund (IMF), the World Bank and others to launch an NPL Initiative to promote corporate NPL resolution. This work falls under the scope of the European Bank Coordination “Vienna” Initiative, which was established at the height of the global financial crisis in January 2009 to safeguard the financial stability of emerging Europe. The Vienna Initiative brings together major international financial institutions as well as European Union (EU) institutions and public and private stakeholders of EU-based cross-border banks active in the region. Since 2014, NPL resolution has been the major focus of the Vienna Initiative. The EBRD manages the NPL Initiative on behalf of its fellow international institutions and undertakes a wide range of activities as part of this endeavour, including promoting in-country dialogue, capacity building and knowledge sharing. A new website set up by the EBRD acts as a central point of information and knowledge-sharing on NPL resolution among Vienna Initiative countries (http://npl.vienna-initiative.com). The EBRD’s Legal Transition Programme (LTP) contributes to the NPL Initiative by analysing the legal and regulatory impediments to swifter corporate NPL resolution and by working with public officials and other stakeholders on the legal reforms necessary to remove these. The Bank recognises that weak corporate restructuring and insolvency frameworks hamper the efficient restructuring of corporate NPLs and the return of these loans to performing assets, as well as the realisation of NPL recoveries by creditors in the case of borrower liquidation. 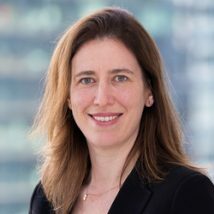 “Inefficient resolution frameworks mean that corporate NPLs tend to sit on banks’ balance sheets for much longer than they would do if these countries had more effective restructuring and insolvency mechanisms,” says Catherine Bridge Zoller, the LTP Principal Counsel leading EBRD efforts in this field. “High NPL levels reduce profitability and, because of capital requirements, limit the extension of new credit. Banks can resolve corporate NPLs in various ways. They can seek to restructure or enforce the bad loans and, to the extent necessary, write-off any non-recoverable portion of the loans. Alternatively they can sell the NPLs at a discount to other investors who would then take over responsibility for strategic management of the NPL including any restructuring or enforcement of the loan. Inefficient resolution frameworks mean that corporate non-performing loans tend to sit on banks’ balance sheets for much longer than they would do if these countries had more effective restructuring and insolvency mechanisms. Selling NPLs on the secondary market has the advantage of freeing up the capital, liquidity and human resources that banks require to manage these loans in-house. Furthermore, NPL purchasers (and servicers) typically have more experience than banks of resolving NPLs. They also usually have more resources for these activities. In practice, however, banks in some emerging European economies do not use this option readily and debt sales markets are not well-established in these countries. This is partly due to regulatory hurdles that make it cumbersome for banks to transfer distressed corporate loans to non-banking investors and less attractive for those investors to enter the market in the first place. 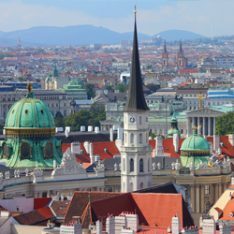 In Hungary, for example, NPL purchasers need to be licensed financial institutions subject to regulatory oversight, but the process of obtaining such a licence is reportedly very time-consuming. It is also more difficult to package corporate NPLs for sale, compared with retail NPLs, since corporate NPLs often require a case by case treatment. 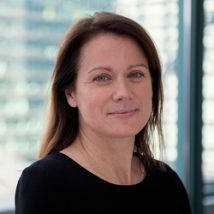 “These barriers to investors entering the secondary market for NPLs – combined with the inherent risks of NPL resolution owing to a country’s legal, tax and regulatory framework – also mean that there is less competition between potential buyers,” says Catherine. “They are therefore able to offer banks lower prices for their distressed loans than they would be likely to offer in a vibrant secondary market. In 2016 the LTP carried out extensive work on improving NPL resolution in Hungary, Serbia and Ukraine as part of the NPL Initiative. In Hungary and Ukraine, efforts to date have focused on strengthening the mechanisms for out-of-court corporate restructuring and consensual settlement. In Serbia, the programme concentrated on analysing barriers to the sale of NPLs and the development of a debt sales market in order to set a broader agenda for reform. The EBRD has been engaged in work to address Hungary’s high NPL levels for several years. In the wake of the financial crisis of 2008-09, the NPL ratio (including corporate and retail NPLs) reached a peak of 20 per cent, although as of June 2016, this had fallen to 10 per cent. 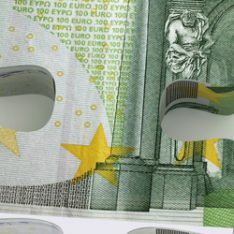 The scale of the problem prompted the Central Bank of Hungary (MNB) to approach the EBRD in early 2014 with a request for technical assistance in combating rising NPL levels. This resulted in a technical cooperation (TC) project consisting of an analysis of the Hungarian legal and fiscal framework for corporate restructuring and insolvency. The findings of this analysis, which was conducted by the EBRD with assistance from professional services company EY and law firm White and Case, were published in February 2015. The report identified a large number of areas for improvement and potential remedies. These included: re-examining the existing licensing requirement for NPL purchasers, in line with other countries in the region (such as Romania where these restrictions do not exist); considering tax relief and other incentives for debt cancellation; giving banks a more significant role as creditors in the bankruptcy and liquidation procedures; requiring debtors to draw up a professional reorganisation plan in order to file for bankruptcy; and promoting greater cooperation among banks to promote early out-of-court restructuring. Also in February 2015, the government of Hungary and the EBRD signed a Memorandum of Understanding aimed at strengthening the country’s financial sector, including by addressing the challenge of NPLs. Around the same time, the Hungarian authorities amended the Personal Bankruptcy Act (in 2015) and established the asset management company MARK to purchase NPLs. In 2016, the EBRD conducted a second TC project in support of NPL resolution in Hungary. Extensive discussions with 16 banks, MNB and MARK resulted in a recommendation that MNB take a more active role in promoting out-of-court restructuring by issuing non-binding guidance on international best practice for this process in relation to corporate loans. The TC project looked at global best practice in the field of corporate turnaround and insolvency, including the principles established by the International Association of Restructuring, Insolvency and Bankruptcy Professionals (INSOL), and approaches within the EU. It also carefully evaluated what guidance was needed in the Hungarian context. 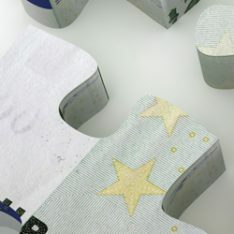 A key aim of the MNB guidance, which was due to be issued in the first quarter of 2017, is to help lenders adopt a more collaborative approach on restructuring and consensual security enforcement, with a view to managing NPLs and preventing a similar situation of high NPLs in the future. In neighbouring Serbia, the ratio for corporate and retail NPLs remains very high at 20.2 per cent as of June 2016. The country has the highest NPL ratio and the highest level of corporate sector indebtedness out of the five partner countries of the Vienna Initiative (the others being Albania, Croatia, Hungary and Montenegro). The Serbian authorities are engaged in a range of activities aimed at addressing this issue. The government is implementing an NPL Resolution Strategy and accompanying Action Plan that were adopted in 2015. Legislators approved amendments to the Banking Act that same year to make it easier for banks to transfer NPLs to asset management vehicles, among other improvements. Further amendments to the Bankruptcy Act aimed at strengthening creditors’ rights were expected in early 2017. In 2016, the EBRD prepared an analysis of impediments to the sale of NPLs in Serbia. The study, conducted with assistance from KPMG, recommended a wide range of legislative and regulatory changes to facilitate NPL market development. These include modifying the licensing requirements for NPL investors; possibly exempting NPLs from banking secrecy restrictions to allow investors to perform due diligence on a target portfolio; and improving the tax regime for NPL write-offs. The analysis also looked at non-regulatory impediments to NPL sales in Serbia, such as high levels of bureaucracy and ineffective court and law enforcement practices. Owing to the effects of the global financial crisis, the situation in eastern Ukraine and the resulting devaluation of the hyrvnia, Ukraine is one of the European countries worst affected by high levels of distressed loans. The corporate and retail NPL ratio stood at 30.4 per cent as of June 2016 and the escalating problem has led to many bank failures as well as business bankruptcies and closures. In 2014 the EBRD launched a package of crisis-response measures to help support the Ukrainian economy, including investments and policy dialogue activities aimed at stabilising and restructuring the Ukrainian banking sector and reinvigorating lending to businesses. In addition, the IMF has provided a series of loans to Ukraine since the start of the financial crisis. A condition of the IMF programme is that the country develop an effective mechanism for out-of-court restructuring as a means of tackling the problem of rising NPL levels. An EBRD adviser, appointed in 2014, helped the Ukrainian government develop a new legislative framework for out-of-court restructuring. A Law on Financial Restructuring (LFR), approved by lawmakers in June 2016, came into force in October. The LFR offers parties certain tax incentives for restructurings concluded under its auspices, which are voluntary. The EBRD’s Legal Transition Programme initiated a TC project to support implementation of the new law. 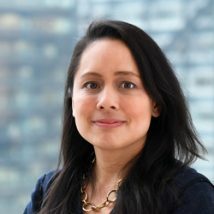 “Under this project, we have helped the Ministry of Finance draft by-laws on arbitration for disputes arising under the LFR procedure,” says Catherine. 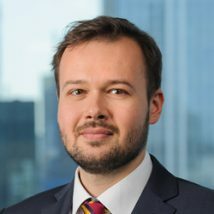 “We are also assisting the Independent Association of Banks of Ukraine (NABU) with the setting up, operation and financing of a secretariat to administer applications to use the procedure and of an arbitration committee established by the LFR to resolve any disputes.” The framework is expected to be operational in the first half of 2017. In February 2015, the government of Hungary and the EBRD signed a Memorandum of Understanding aimed at strengthening the country’s financial sector, including by addressing the challenge of NPLs. The NPL Initiative is also active in the Vienna Initiative partner countries of Albania, Croatia and Montenegro where the EBRD works closely with the World Bank. The EBRD undertakes NPL resolution work in other countries in its region of investment, including Greece, which is a participating Vienna Initiative country, and Tunisia, which falls outside the Vienna Initiative but is also beset by high NPL levels. In Tunisia, LTP assistance consists of support for a new regulatory framework for the insolvency office holder profession and capacity building for key insolvency players. This aims to raise professional standards and promote training for insolvency office holders and judges. The new NPL Initiative website provides stakeholders with the latest information on national reform commitments, support from international institutions and the latest industry publications. The Bank publishes a biannual NPL Monitor for the CESEE covering the five Vienna Partnership countries. This features the latest available data on NPL ratios and summarises efforts to resolve barriers to NPL resolution on a country-by-country basis. The EBRD is also responsible for overall NPL Initiative coordination efforts. Since Romanian power company Electrica started trading on the London and Bucharest stock exchanges in 2014, the former entirely state-owned utility has significantly increased the amount of electricity it distributes to its 3.7 million customers and witnessed a strong rise in profits. 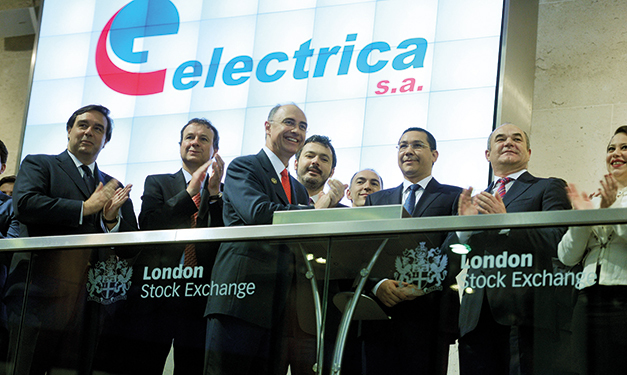 Electrica owes much of this improved performance to extra investment from its new shareholders – including the EBRD – who bought 51.2 per cent of the company in what was Romania’s largest initial public offering (IPO). The success of the oversubscribed IPO was partly the result of Electrica’s commitment, with EBRD support, to bringing its corporate governance in line with international standards. 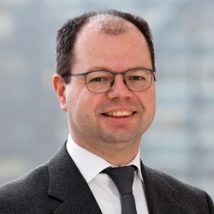 “Without the robust guarantees for minority shareholder rights and the sound risk mitigation measures contained in the company’s corporate governance action plan, investors would have lacked the reassurance needed to participate in such a landmark equity transaction,” says EBRD Senior Counsel Gian Piero Cigna, who leads the Bank’s legal reform efforts in the field of corporate governance and worked extensively on the Electrica deal. Good corporate governance improves accountability and makes companies more efficient and competitive. The Electrica story illustrates the importance of adopting the highest standards of corporate governance for businesses seeking to attract external capital. More broadly, governments in the EBRD region that hope to stimulate private sector growth need to foster better corporate governance through their institutional and legal frameworks. This is why the EBRD regards improving corporate governance as a major goal of its Legal Transition Programme (LTP) and an essential ingredient in the Bank’s efforts to promote the development of well-functioning market economies in the countries where it invests. “Bad corporate governance poses substantial risks. Investing in a company that does not disclose who does what carries much more uncertainty than investing in a company that is transparent,” says Gian Piero. “However it is not just about risk mitigation. Good corporate governance improves accountability and makes companies more efficient and competitive. The EBRD has a two-fold approach to raising corporate governance standards, as demonstrated by its activities in Romania. The first part of the approach is the Bank’s work with investee companies and an example of this is the corporate governance action plan that helped Electrica win the confidence of investors. Electrica developed the plan in close cooperation with the EBRD before the Bank purchased an equity stake in the utility. A similar strategy was followed with Romanian natural gas producer Romgaz, which floated on the London and Bucharest bourses in 2013. The first independent research report by an investment bank on Romgaz after the IPO5 recommended a “buy” rating and a target price that was 42 per cent above the flotation price. It noted the corporate governance action plan and the role that the EBRD was set to play in its implementation. The corporate governance action plans of Electrica and Romgaz helped them to comply with the recommendations of the corporate governance code of the Bucharest Stock Exchange (BVB), which are to be implemented under the so-called “comply or explain” approach. Since listing, the Bank has worked with both companies to ensure that they implement their action plans and meet their commitment to improve their corporate governance. 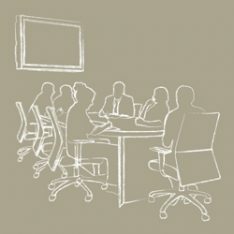 The second part of the EBRD approach to improving corporate governance involves cooperating with institutions to create legal and regulatory frameworks that support sound corporate governance practices. In Romania, the EBRD helped BVB develop a new corporate governance code, which came into force in January 2016. This ongoing technical cooperation project now focuses on helping BVB strengthen implementation of the code by actively monitoring listed companies’ compliance with its recommendations. 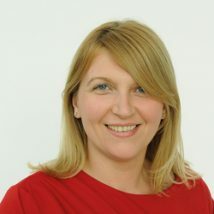 As stressed by the European Commission, the executive body of the European Union (EU), efficient monitoring at the national level is needed in order to motivate companies to comply with the code or to better explain departures from it.6 In Romania, this would also promote good practice within the corporate sector and improve the overall investment climate. The Electrica story illustrates the importance of adopting the highest standards of corporate governance for businesses seeking to attract external capital. We will now look in more detail at the first part of the Bank’s approach to raising corporate governance standards. The EBRD carries out rigorous integrity checks on all companies in which it is considering investing, whether the investment is a loan or an equity stake. To support the due diligence process, the LTP has developed a corporate governance review toolkit for use by the investment project team. The toolkit consists of a screening tool designed to highlight any corporate governance issues that need further investigation by the project team, a questionnaire and a matrix. The banker – or operation leader – leading the project sends the questionnaire to any business that has been identified by the screening tool as having possible corporate governance shortcomings. The matrix benchmarks the questionnaire answers and rates the company according to its corporate governance practices in five areas (commitment to good corporate governance; structure and functioning of the board; control environment and processes; transparency and disclosure; and the rights of minority shareholders). The next step is for the project team, including the EBRD’s lawyers, economists and corporate equity experts, to begin discussions with the client on a corporate governance action plan to remedy any defects in its existing arrangements. Once the project team and the client have agreed on the draft action plan, it is included in the term sheet for the EBRD investment and forms part of the contract between the two parties. After the Bank has committed the investment, the operation leader monitors the implementation of the action plan, with support from LTP as required. This process is in line with the methodology for assessing corporate governance in investee companies established by development financial institutions (DFIs) that are signatories to the Corporate Governance Development Framework.7 The EBRD is a founding signatory to the Framework. In the case of Electrica, the corporate governance action plan provided for the nomination of three qualified and independent directors on the company’s supervisory board. This ensures that the board includes people who have the appropriate qualifications and can view matters objectively, without any conflict of interest. 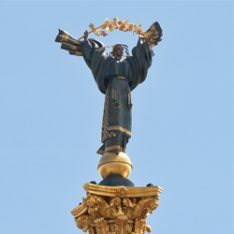 Given that the Romanian government would remain the largest single shareholder in Electrica after the IPO with a 48.8 per cent stake, reforms designed to guarantee the objectivity of the board and the protection of minority shareholders’ rights were crucial for the success of the share issue. The action plan also sets out Electrica’s position on its nomination and remuneration policy, board committees, articles of incorporation and internal control framework. This framework promotes efficiency and the assessment and mitigation of risk, enabling executives and the board to have a clearer view of any risks the company might be facing. “The colossal liabilities associated with the Deepwater Horizon explosion in the Gulf of Mexico underscore the importance of stringent risk management policies in the energy sector,” notes Gian Piero. Another high-profile EBRD transaction in which the inclusion of a corporate governance action plan played a major part was the US$ 300 million (€276 million equivalent)9 loan to Naftogaz, the Ukrainian national oil and gas company, signed in October 2015. As a condition of the EBRD financing for the purchase of winter gas, the Ukrainian government and Naftogaz agreed to implement an action plan that provides for the creation of a supervisory board of independent and qualified directors. The plan also aims to strengthen the state-owned company’s internal audit, compliance, anti-corruption and risk management functions and establish an ownership and governance structure in line with best international practice. As of late 2016, implementation of the corporate governance action plan at Naftogaz was ongoing and the EBRD continued to closely monitor this process. The second dimension of the EBRD’s work on promoting better corporate governance is its collaboration with governments and regulators on improving the legal and institutional environment. The Bank performs this function through donor-funded technical cooperation (TC) projects that make use of consultants who are international experts in specific areas of corporate governance best practice. These consultants help the EBRD to assess the current regulatory and institutional framework in a given country, give advice on how this can be improved, and provide training to officials on the implementation of new procedures. The EBRD supports these TC projects with periodic Corporate Governance Sector Assessments to determine the quality of corporate governance-related laws and regulations in the Bank’s countries of operations. These assessments identify gaps between local laws and practices and international standards and examine how effectively corporate governance legislation is implemented. As a result, the EBRD can advise governments on the weaknesses that companies and legislators need to address to improve their national corporate governance frameworks and attract more international investors. In 2016, the Bank completed 34 country assessments. It published them on its website10 and on LinkedIn in order to further the debate between stakeholders on reform in this area. The second dimension of the EBRD’s work on promoting better corporate governance is its collaboration with governments and regulators on improving the legal and institutional environment. The Romanian market stands out for its commitment to corporate governance legal and regulatory reform. Before its acquisition in late 2014 of a 4.99 per cent stake in the Romanian bourse, the EBRD launched a TC project to help BVB develop a new corporate governance code. The new code, which came into effect in January 2016, is much more precise regarding the duties of listed companies. For instance, it provides a clear list of functions that are expected from the audit committee and emphasises the value of establishing a continuous relationship with investors and improving the quality of disclosure. Following the introduction of the new code, the ongoing TC project has focused on strengthening and monitoring its implementation. In particular, the project looks at the degree to which listed companies comply with the code and disclose required information. BVB has also pledged to establish a corporate governance committee that will become the reference point for good corporate governance in Romania. Beyond Romania, the LTP is active in many markets seeking to improve their corporate governance frameworks. In Turkey, a recent TC project sought to strengthen the capacity of the Capital Markets Board (CMB) to monitor the compliance of companies listed on Borsa İstanbul with mandatory corporate governance standards. It also sought to improve the CMB’s monitoring of companies’ reporting on their implementation of voluntary principles. The Bank is developing and implementing a methodology to assess the corporate governance practices of listed companies, monitor their reporting practices, review the quality of compliance statements and produce the disclosed information in reader-friendly reports. It is also preparing guidelines to help listed companies implement the best standards of corporate governance and facilitate CMB monitoring of their compliance. In 2016, the Bank completed 34 country assessments. It published them on its website and on LinkedIn in order to further the debate between stakeholders on reform in this area. 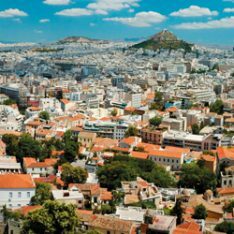 Last year, the EBRD conducted a legal reform project aimed at restoring confidence in the Greek financial sector by strengthening the corporate governance of the country’s four systemic banks. The EBRD supported the recapitalisation of the following four banks – Alpha Bank, Eurobank, the National Bank of Greece and Piraeus Bank – by purchasing shares in them in 2015. In 2016 the Hellenic Financial Stability Fund (HFSF), the vehicle created to support the Greek banking system and financed by international creditors, requested EBRD assistance for a review of the boards and board committees of these banks. 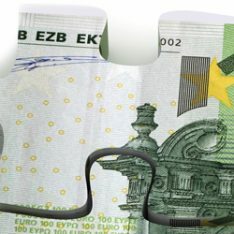 The review sought to ensure that the banks set up and operate their boards and committees in line with best international practice; to improve levels of corporate expertise within the banking sector; and to reduce the degree of influence politicians have over Greece’s systemic banks. The recruitment process for the new board members was notable for its openness. For example, the National Bank of Greece advertised for the positions of Chair of the Board, and Chair of the Audit Committee and for one other board role in the international and domestic press. It was the first time that a bank in Greece had recruited board members in such a transparent manner. The EBRD is helping the Bank of Albania to improve its capacity to assess the corporate governance of that country’s banking sector. 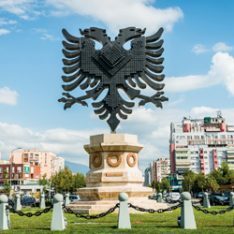 The assignment, launched in 2016, is reviewing the corporate governance legislation and practices of banks and assessing the Bank of Albania’s supervisory framework and methodology. 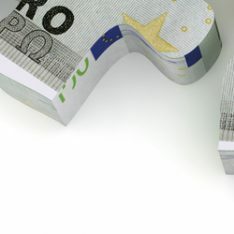 It also advises the institution on practices by selected banking supervisors in EU countries. In addition, the LTP will help the Bank of Albania draft a new supervisory methodology and provide training to its staff to aid with implementation of this methodology. The EBRD is also assisting efforts to strengthen corporate governance in Slovenian banks, which were badly affected by the financial crisis. A TC project helped the Bank of Slovenia develop and implement a methodology to assess the suitability of bank executives, board directors, committee heads, remuneration policies and internal control frameworks. Following the successful completion of the first project, a second project – targeting banks’ risk appetite –is under way. Multilateral development banks (MDBs) invest billions of euros in developing countries annually, with the EBRD investing €9.4 billion in 378 projects in 2016.13 While many of these investment projects become success stories, MDBs inevitably investigate a number of allegations of wrongdoing, such as fraud and corruption, in their projects each year. Following a finding of misconduct, arguably the most powerful action an MDB may take is to debar a party from conducting any business with the sanctioning MDB. The effect of this debarment is multiplied through the Agreement for Mutual Enforcement of Debarment Decisions (AMEDD), an agreement by five MDBs to recognise each other’s debarments so that, broadly speaking, a party debarred by one MDB would be cross-debarred by the others on the same terms and conditions. This article examines the impact of the AMEDD since its adoption; innovations to the enforcement mechanisms of the MDBs to strengthen their scope and impact; and how MDB debarments are shaping corporate governance reforms of corporations in developing countries. Cross-debarment by the MDBs multiplies the effect of an institution’s sanctions on a party and has far-reaching geographical consequences. A party debarred from obtaining financing from one MDB may find that it has been cross-debarred by the other MDBs and is therefore unable not only to obtain any financing from them, but also to act as a consultant, contractor or supplier on a project financed by them. The MDBs adopted the AMEDD with the belief that it would be a powerful new tool with enhanced cooperation among MDBs which would prevent, detect and deter corruption at a greater level while instilling confidence and increasing investments in MDB projects.15 Since the AMEDD’s adoption, participating institutions have indeed enhanced the tools available to their enforcement mechanisms. Sanctions issued by MDBs are increasingly broadening in scope, from merely “naming and shaming” to rehabilitation so as to create a sustainable and far-reaching impact. MDBs have recourse to other actions, such as referring criminal allegations to governmental authorities or invoking contractual remedies, which they may undertake in addition to or as alternatives to their internal sanctions mechanisms, but debarments themselves can have a rehabilitative focus with the aim of a longer lasting impact. This article examines how and why debarments can be effective and argues that, while there are still areas for improvement, debarments and particularly debarments with conditional release can result in wider-reaching reforms to the landscape of corporate governance. Since the AMEDD’s adoption, participating institutions have enhanced the tools available to their enforcement mechanisms. When an MDB becomes aware of wrongdoing in one of its projects, enforcement action is only one course of action available. As an alternative, or in addition to enforcement action, an MDB may undertake various actions such as invoking contractual remedies against a borrower – for example, by requiring an audit of financial documents or determining that an event of default has occurred – or working closely with the client to reissue a procurement tender in which there were prior concerns of collusion. An MDB may also make a referral to governmental authorities for investigation if it believes that a party has violated the criminal or regulatory laws of a country. In successful cases, such an investigation may result in prosecution or a deferred prosecution agreement. In comparison to MDB debarments, prosecution by governmental enforcement on regulatory or criminal grounds also serves as a deterrent. Individuals and companies may regard such prosecution, which can result in criminal sentencing, as a more severe sanction than enforcement action by an MDB.16 However, referrals made by MDBs may not result in any action taken by the governmental authority. Once referred to governmental authorities, matters are then within the jurisdiction of that state and are subject to that state taking any real action.17 World Bank commentators note that the track record by governmental authorities to follow up on referrals could be improved, as the World Bank made 46 referrals to governmental authorities in 2012 but in 2013 only 10 referrals resulted in investigations by governmental authorities.18 As a result, MDBs regard referral to governmental authorities as one possible course of action but not the only redress. At present, alternatives to debarment – such as conditional non-debarment, letters of reprimand, restitution or financial remedies, and referral to governmental authorities – have their strengths and weaknesses, but have not had the same impact as a debarment.22 MDBs continue to use debarments as the main tool available to them under their sanctions regimes: the number of debarments has gradually risen since the adoption of the AMEDD and increasingly the nature of debarments issued by MDBs has broadened to include a rehabilitative focus in most cases. Since the adoption of the AMEDD, debarments with conditional release are the most frequently issued sanction by MDBs.24 The majority of the EBRD’s cross-debarments between 2011 and 2015 were issued for debarments with conditional release rather than debarments for a fixed or indefinite period. Debarments with conditional release, which will be discussed in greater detail below, provide MDBs with the greatest scope to incorporate a rehabilitative focus in their enforcement actions. 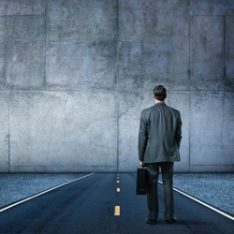 Negotiated settlements, which provide scope for an entity or an individual to negotiate the terms of debarment and subsequent cross-debarment, are also appearing more frequently in the enforcement landscape. Negotiated settlements may result in debarment and are eligible for cross-debarment. Along with negotiated settlements, financial remedies are also appearing as part of enforcement actions although MDBs have taken varying approaches towards financial remedies. Since the adoption of the AMEDD, debarments with conditional release are the most frequently issued sanction by MDBs. The more frequent appearance of negotiated settlements and financial remedies, ranging from restitution to financial penalties, is changing how companies and individuals investigated by MDBs engage in the enforcement process. Parties under investigation have the opportunity to negotiate the terms and conditions of proposed sanctions as part of settlement negotiations, something that did not exist before 2010. Conversely, MDBs can work more closely with parties to tailor the terms and conditions of a subsequent debarment and ultimately strengthen the scope and impact of an enforcement action. 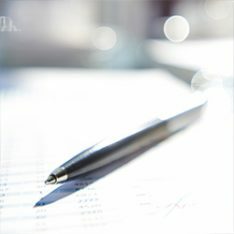 Settlement agreements have also led to self-reporting and disclosure of relevant information for current and new investigations.28 Nevertheless, while all companies and individuals under investigation have the opportunity to negotiate a settlement, there may be parties who do not avail themselves of this option if they do not have the time or resources to respond to enforcement proceedings or to consider settlement negotiations. In some cases, these may be respondents who are daunted by a legalistic process or who do not routinely use one of the MDBs’ official languages. MDBs have not yet harmonised their approach towards negotiated agreements, including financial settlements. The MDBs have agreed on harmonised principles for sanctions and treatment of corporate groups in order to ensure a consistent approach,32 while their varying approaches towards financial settlements currently range from restitution to financial penalties. The MDBs provide for restitution in their enforcement mechanisms, although they have not harmonised their approach towards restitution including how it is calculated. Not all MDBs impose financial penalties and many at present do not anticipate introducing financial penalties into their mechanisms.33 MDBs may consider publishing more detailed publicly available guidance on their approaches to restitution and, if applicable, financial penalties. MDB debarments can provide redress when regulatory and national legal systems may not. While a debarment for a set or indefinite period will have a chilling effect on the sanctioned party’s ability to conduct business with the MDB, or any of the other MDBs if cross-debarred, debarments with conditional release offer greater scope to have an impact on the corporate governance reforms of the sanctioned party and possibly also of peer competitors. Debarments with conditional release provide that a sanctioned entity or individual may be released from debarment or granted a reduced debarment period when it complies with the conditions imposed by the sanctioning institution at the time of debarment. Most conditional debarments require improvements to corporate governance and integrity standards, such as an enhanced corporate compliance programme, and remedial measures against the parties who engaged in wrongdoing, such as reassignment or termination.37 Sanctioned parties must adopt specific conditions to reduce integrity risks, such as introducing corporate governance best practices and standards as part of their corporate reforms. This has a demonstration effect for peer organisations operating in the same region or competing for similar business. It is worth exploring further whether conditional non-debarment, in which an entity must comply with specific conditions in order to avoid debarment, has resulted in more entities meeting the conditions for non-debarment and, if so, whether this type of enforcement action might be more effective in achieving the imposed good governance and compliance standards. Entities may be more willing to meet the conditions for non-debarment, as they have not been debarred and have an incentive to continue their present relationship with the sanctioning institution. In addition, if a conditional non-debarment results from a settlement agreement, there may be more engagement and willingness by the entity, which has been involved in settlement negotiations, to comply with the conditions for non-debarment. Debarments are one of the most, if not the most powerful, enforcement tools available to MDBs. Since the adoption of the AMEDD, MDBs have broadened the scope and impact of debarments by using debarments with conditional release and newly introduced settlement procedures to tailor the terms and conditions of subsequent debarments and to introduce a rehabilitative element into their enforcement mechanisms. MDB enforcement mechanisms are making an impact in environments where compliance and corporate governance cultures were previously lacking and, by introducing integrity and good governance standards, are playing a much-needed role in transforming the corporate governance landscape in developing countries. MDB enforcement mechanisms are making an impact in environments and, by introducing integrity and good governance standards, are playing a much-needed role in transforming the corporate governance landscape in developing countries. An important component of the EBRD’s legal reform work is its assessment of the laws and practices of the countries where the Bank invests. Legal Transition Programme (LTP) lawyers monitor and analyse the status of legal transition in these countries and develop measurement tools to assess the legal and regulatory risk for the Bank’s investments. Assessments cover specific legal sectors, benchmarking their development in each country against international or harmonised standards. Or they cover countries as a whole, judging the progress made in that jurisdiction in establishing commercial laws that are internationally acceptable. One of the sectors most relevant to the EBRD’s activities and benefiting from the greatest amount of Bank expertise is the information and communications technology (ICT) sector. ICT, including broadband internet, plays a vital role in the development of knowledge-based economies, and constitute an area of strategic engagement for Bank investments and policy dialogue. As well as driving productivity and growth, knowledge-based economies can foster equality of opportunity and economic inclusion, for example by improving public service delivery, enhancing access to financial services (such as digital payment systems) and making information more easily available to people living in remote regions. In 2016, the EBRD conducted an assessment of the status of legal and regulatory frameworks covering ICT infrastructure in 20 countries of operations41 and will publish the findings of this exercise on the Bank’s website in 2017.42 The purpose of this article is to summarise the findings and recommendations of the assessment, which was the first evaluation of the ICT sector that the LTP had carried out since 2012. 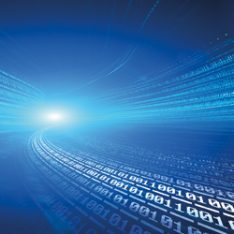 The assessment focuses on ICT infrastructure that enables consumers, organisations and businesses to participate fully in the knowledge economy – looking, for example, at electronic communications networks providing access through high-speed broadband services, as well as the market for digital services. The digital services that are most relevant to the knowledge economy include high-speed internet, eGovernment, eCommerce and digital broadcasting. The assessment considers the presence or otherwise of enablers of and impediments to investment in the ICT sector in terms of policies, legislation and regulations. This activity in turn supports the development of specific technical cooperation programmes tailored to each individual country. These programmes will help with the formulation of policies, the modernisation of legislation, the strengthening of the sector institutions and the fostering of better conditions for investment. The emphasis here is on practical support for the modernisation of countries’ legal and regulatory frameworks, focusing in particular on the rollout of affordable, high-speed broadband and the attendant development of the ICT sector. One of the sectors most relevant to the EBRD’s activities and benefiting from the greatest amount of Bank expertise is the information and communications technology sector. The “Digital Agenda” of the European Union (EU) employs a number of key policy and regulatory enablers for the ICT sector. For example, there are clear policy objectives aimed at providing all EU citizens with access to high-speed broadband. In addition to examining the enablers that are already in place in the countries under assessment and the results that have been achieved to date, the assessment compares them with the policies, regulatory enablers and results observed under the EU’s current regulatory framework. The EU model was chosen because it represents an achievable set of practices that have already been implemented in the ICT markets of a wide range of countries. Legal and regulatory frameworks governing ICT infrastructure markets have undergone significant changes since the latter part of the 20th century, driven by the rapid development of digital technologies and the internet. The pace of the ICT market’s transformation has varied from country to country. One of the main determinants of the speed of the transition from monopolistic to competitive markets has been the progress made by each country’s policy-makers in terms of adopting policy, legal and regulatory frameworks that facilitate such developments. Following the wave of privatisations in the electronic communications sector that began in the 1980s, most of the investment in that sector is now made by private investors. In recent years, however, a parallel role for public investment has been found in the form of subsidies, subject to clear rules on state aid. Such subsidies have primarily been used to accelerate private investment in more remote regions, where lower commercial returns on investment would otherwise result in some citizens remaining without access to the full range of public and commercial ICT services. The assessment examines the development of countries’ ICT sectors, the legal and regulatory conditions prevailing in those countries and the penetration of broadband services, comparing them with what investors would generally consider good practice – namely, the average situation in an EU country. The document looks at the various countries’ positions in the United Nation’s world rankings on the development of eGovernment, eParticipation and eCommerce, as well as examining information published by the International Telecommunication Union on ICT development, broadband penetration, internet usage and the affordability of ICT services. Taken together, the various components of this comparative analysis provide an overall assessment of the investment potential in each country. On the basis of the current gaps in ICT services, the cost of giving everyone in these 20 countries access to high-speed broadband would be in the region of €100 to €200 billion. The full text of the assessment describes in detail the benchmarks used. The digital services that are most relevant to the knowledge economy include high-speed internet, eGovernment, eCommerce and digital broadcasting. Despite significant progress with the adoption and implementation of best practices in terms of policies, legislation and regulation, market conditions continue to vary widely when it comes to investment in broadband infrastructure. This results in significant variation from country to country in terms of broadband take-up, internet usage, eGovernment services and use of eCommerce. Overall, the countries assessed generally lag behind in terms of the development of ICT and the use of broadband services by citizens and businesses. One of the main reasons for this is the existence of a very large gap between the penetration of broadband in those countries and levels seen in the EU. On average, there are only 66 broadband subscriptions per 100 residents in the countries assessed, compared with 108 per 100 residents in the EU. There are also clear differences between the two in terms of the development of online services, the level of broadband infrastructure (especially in rural areas), internet usage levels and the affordability of ICT services. At the same time, demand for broadband services remains extremely high. Total (fixed plus mobile) broadband penetration has grown at an average annual compound rate of 44 per cent since the EBRD’s 2012 assessment of the electronic communications sector.43 Broadband users are also demanding higher speeds and improvements in quality as ICT markets develop. All of the countries under assessment are developing eGovernment as a means of improving access to public services and increasing the efficiency of their delivery. Meanwhile, businesses in those countries are increasingly adopting online eCommerce models in the interests of efficiency and competitiveness. However, on the basis of their world rankings for eGovernment and eCommerce, those countries continue to lag behind their EU neighbours. In the area of eCommerce, there is a need for legal safeguards to ensure privacy and online security, with more involvement in online payments on the part of the banking sector, in order to foster greater confidence among users and encourage participation. There is also a general need to improve the scope and efficiency of eGovernment services and promote their use. The most important step now is to reduce the “broadband gap” between the countries assessed and EU averages. In the EBRD region, although demand is generally being met in urban areas under increasingly competitive conditions, the investment required to extend high-speed broadband infrastructure into less profitable rural areas is not yet being provided. Effective access to ICT markets requires high-speed broadband infrastructure based on next-generation technologies (mainly fibre-optic backbone networks allied to mobile-based technology for the harder-to-reach areas). All countries need to invest more in high-speed broadband infrastructure, yet many countries still lack a number of key enablers. National policies for the ICT sector should continue to emphasise the importance of a knowledge-based economy for the achievement of sustainable growth and benefits to society. Policy, legal and regulatory frameworks should foster the development of ICT, establishing conditions that will allow all citizens and businesses to be given online access to public services and commercial markets via competitive modern broadband services. The development of eGovernment services should be continued, with a particular focus on promoting the full use of online public services by consumers and businesses. All enablers required to foster confidence in eCommerce should be put in place, including the protection of users’ data. Specific assistance should be given to small and medium-sized enterprises when it comes to adopting ICT services and acquiring digital skills. (iii) specific broadband infrastructure projects in rural areas. Source: 2016 EBRD ICT assessment. The assessment gives detailed information on the countries’ overall ICT scores, using the average level of development in the EU (which corresponds to a score of 10) as a benchmark. The overall assessment score represents a combination of a number of components: a clear policy framework, eGovernment, eCommerce, the legal and regulatory framework, digital broadcasting, fixed broadband, mobile broadband, internet usage and affordability. Chart 1 indicates how the countries scored in each of these areas. The 20 countries assessed vary widely in terms of access to ICT services. Broadband penetration levels range from 20 to 98 per cent of the population. In terms of the development of ICT services, those countries’ world rankings for eGovernment and eCommerce range from 30th to 108th. Internet usage ranges from 36 to 77 per cent of the population, while the cost of fixed broadband services varies widely, ranging from around 1.1 to around 6.0 per cent of gross national income per capita. The relationships between the development of ICT, broadband penetration, the affordability of ICT services and internet usage are complex, and there is no single determinant of the effectiveness of ICT markets. The key enablers appear to be broadband infrastructure (as reflected in the penetration rates for fixed and mobile broadband) and the competitiveness of the market (underpinned by a sound legal and regulatory framework). Countries that score highly in terms of these key enablers appear to enjoy raised levels of ICT development and provide more affordable internet services covering more of the population. Other factors also play a role, including the development of eGovernment and eCommerce – which are, in turn, linked to the level of broadband penetration. 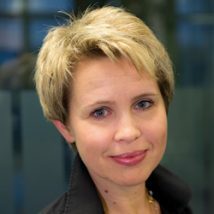 Kim O’Sullivan, Senior Counsel in the Legal Transition Programme, specialises in legal and regulatory reform that supports, among other things, the use of alternative dispute resolution (ADR) mechanisms, including commercial mediation. She led the EBRD’s involvement in organising the forum, which drew high-level representatives from the governments of Armenia, Azerbaijan, Belarus, Georgia, Kazakhstan, the Kyrgyz Republic, Moldova, Mongolia, Russia, Tajikistan and Ukraine. 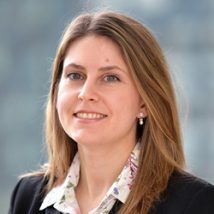 In this interview, Kim talks about how commercial mediation can help the EBRD region and the challenges associated with making its use more widespread. What are the benefits of commercial mediation? They are numerous. First, mediation is very flexible: there are far more outcomes possible through mediation than there are awards that can be made by a court. Courts have a limited range of remedies and awards at their disposal, whereas mediation offers the freedom to find an outcome that benefits all parties. Mediation also gives parties ultimate control over the terms of the resolution and over the decision whether or not to settle – they can even walk away from the process if they are dissatisfied with it before the resolution is agreed. You do not have this in a court process where the judge decides how the dispute is settled. Moreover, court hearings are generally open to the public but mediation is conducted confidentially, which is important for commercially sensitive matters. This means that the parties can be much more open with the mediator about their true position. As a result the mediator can help the parties bridge the gap between the two sides more effectively, instead of seeking a solution based on the parties’ public statements, which may be far removed from reality. An important confidentiality safeguard resides in the fact that the mediator is prevented from bringing up any statements made during the mediation process in the course of any subsequent litigation or dispute resolution. Mediation is not focused on the parties’ respective responsibility for the state of affairs in which they find themselves. A mediator, whether court-affiliated or independent, does not give his or her opinion on the facts of the matter or on who is to blame but instead tries to bring the parties to a common position by asking questions. Another very significant advantage of mediation is that it is quicker and cheaper than going to court. It frees up sums that businesses might otherwise have earmarked for litigation and allows them to invest that money in more economically productive activities. So the presence of a robust commercial mediation system enhances the attractiveness of a country to foreign investors who will have confidence that they will be able to make the best use of their resources. 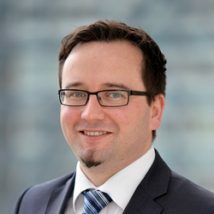 Overall, the less adversarial nature of the process and its emphasis on mutually agreeable outcomes means that it is a preferable option for parties with a commercial relationship that they wish to maintain, beyond the matter under dispute. With a court case, however, there is a real danger of the commercial relationship sustaining irreparable damage. 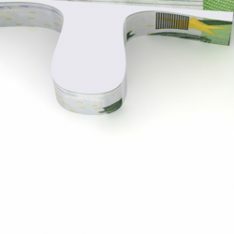 Beyond the benefits to the parties in dispute, what wider advantages does commercial mediation bring? The use of mediation means that fewer disputes go to court, which reduces the caseloads that judges have to deal with and increases the overall efficiency of the judicial system. Another point to consider is that many female entrepreneurs find mediation to be a more accessible form of dispute resolution than a court case. This is because the parties can tailor the mediation process to their timetables, whereas court cases involve hearings and sessions at times set by the court, regardless of any commitments the parties might have, such as childcare duties. As women in the EBRD region and elsewhere still carry most of the burden of childcare, the flexibility of the commercial mediation system will be particularly attractive to them. Also, whereas a large proportion of judges in the EBRD region and beyond are men, a relatively high percentage of mediators are women. So the more widespread use of mediation in a country will likely contribute to the greater involvement of women in that country’s dispute resolution system. And I think most people would agree that it is desirable – socially and economically – for both genders to be fairly represented in any profession or sector. 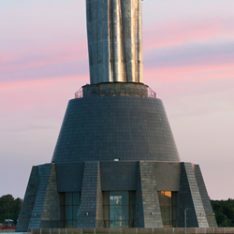 What did the event in Minsk set out to achieve? The use of commercial mediation is very limited in the EBRD’s countries of operations – although they are by no means exceptional in this regard as mediation remains a relatively new concept in many parts of the world. Where it has been introduced, it has been welcomed by governments, businesses and non-governmental organisations (NGOs) as a very positive development. 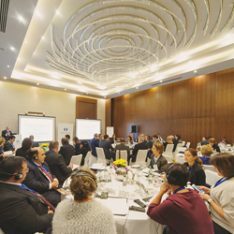 The forum in Minsk sought to stimulate wider use of mediation in the EBRD region by bringing experts from various countries, including Serbia and the United Kingdom (UK), to share their knowledge and expertise with high-level officials from 11 of the Bank’s countries of operations. Some of our countries are at the beginning of the learning curve regarding mediation, while others are more advanced, but the region as a whole has a lot of potential for increased use of this form of dispute resolution. It is very important to say that there is no “one size fits all” version of commercial mediation – each country has to adopt the mediation system that best fits in with its particular legislative framework, whatever stage of development that may be at. But it was still very helpful for participants to exchange their experiences and their ideas about how mediation could be implemented. As we followed the “Chatham House rules” – meaning discussions held at the event can be referred to outside the forum but without any attribution of quotes or comments to individual speakers – there was a great deal of openness in our conversations. It was great to have people take part from such a wide range of backgrounds and from very senior positions in government administrations. Plus there were many academics who brought a very valuable perspective to the topic. What are the main obstacles to the wider use of commercial mediation in the EBRD region? Some countries do not have a law on mediation and need to adopt one, while others do have relevant legislation but in some cases this needs improving. There is also a general misunderstanding in the region as to the nature of commercial mediation. For example, the confidential aspect of the process and the fact that mediators remain neutral may not be widely known. There is also a common misperception that an agreement reached through mediation cannot be enforced in a satisfactory manner. It is very important that laws on mediation incorporate obligations requiring enforcement agencies to uphold any mediation awards. People often think that, even if a mediator resolves a dispute, the award is unlikely to be enforced, but well-drafted laws will ensure mediation agreements have full legal effect once they have been signed by the parties involved. For example, laws could allow notaries to register mediation agreements so that they enjoy the same level of recognition as a judicial decision. Another challenge is the lack of government commitment to the greater use of mediation. Administrations in the region could demonstrate their commitment by taking a mediation pledge or by attaching certain conditions to their procurement contracts. In the UK, for example, the government declared in 2011 that any contract to which it was a party would feature a clause obliging both sides to try mediation before taking any disputes to court. This was very helpful in increasing the use of mediation in the UK and it would be great if governments from our region could do something similar. What concrete results emerged from the forum? As I said before, the main aim of the event was to share knowledge and experience rather than decide on any immediate action. Nevertheless, the Ministry of Justice of Azerbaijan got in touch with us after the forum to discuss a possible technical cooperation (TC) programme focused on increasing the use of mediation in that country. We also had a lot of interest from the Georgian representatives we met at the event in how LTP could help judicial reform in Georgia. The EBRD is already engaged in TC projects promoting the use of mediation in Moldova, Mongolia and Serbia. The UK’s Department for International Development is funding the projects in Moldova and Serbia and LTP is working with the Bank’s Investment Climate and Governance Initiative on these programmes. We are looking at further possible projects in the Kyrgyz Republic and Tajikistan and are involved in policy dialogue on this topic in Jordan, Tunisia and Ukraine. Lastly, Armenia has already offered to co-host the next forum on commercial mediation with the EBRD. You worked with British mediation expert Bill Marsh on preparing the forum and he facilitated the roundtable discussions. Why did you decide to work with Bill? 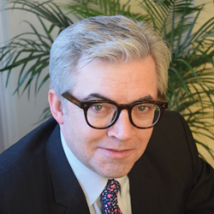 Bill is one of Europe’s most experienced mediators. 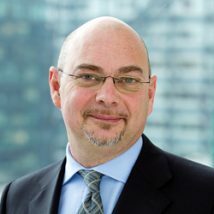 He has been at the forefront of resolving very complex disputes for over 25 years and has conducted thousands of mediations with governments, individuals and NGOs, including within our countries of operations. He is highly respected within the field, knows our region well and overall was an ideal person for us to work with. As well as facilitating discussions over the one-and-a-half day event, he helped us tailor what everyone found to be a very successful forum programme. So we were very glad to have him on board. Mediation is very flexible: there are far more outcomes possible through mediation than there are awards that can be made by a court. Over the past 30 years, the use of derivatives as hedging instruments has become more significant as the role of derivatives in global financial markets has grown. Derivatives are an efficient tool for capital market development, whether they are being used to hedge risk, for speculation or to improve market efficiency. Their use and availability can encourage investment activity, supply and demand, and protect more vulnerable assets from volatile market conditions. As a result of the increase in activity that derivatives encourage, capital markets are able to provide economies with more alternatives to bank financing, thus fostering increased economic growth and a more sustainable financial sector. In this article we will explore how derivatives can have a positive impact on EBRD countries of operations and how the Local Currency and Capital Markets (LC2) Development Initiative at the Bank works to introduce them to emerging capital markets. The use of derivatives can be traced back to ancient civilisations. Around 1750 BC, King Hammurabi of Mesopotamia created one of the first legal codes that enabled the use of derivatives. Hammurabi’s code stipulated that witnessed written contracts could facilitate sales of goods and assets to be delivered at a future date and at an agreed price. While no longer written on clay tablets, many derivatives still reflect this formula. Their use has evolved over the centuries, focusing on various commodities ranging from crops to newspaper print and even fine art. The Chicago Mercantile Exchange, the first official derivatives exchange, was founded in 1894 by farmers who could not find buyers for their commodities. This was the first instance of standardised contracts that could be bought and sold by anyone. This led European and American law makers to pass legislation that demanded a more structured approach, enforced strict reporting standards and strengthened client protection by introducing margin requirements. Derivatives are a tool to manage exposures and hedge risk – and this is exactly the use that the EBRD is promoting across its countries of operations. Derivative instruments enable the taking up, selling and management of risk, but in certain cases can also support speculation on the market or improve the market efficiency of the underlying assets. Swaps constitute one of the most commonly used types of derivative instrument and are important because of their ability to mitigate and hedge risk. If the local interest rate is expected to go up, owners of local assets may purchase an interest rate swap to help maintain the asset’s value. In the more volatile emerging markets, being able to mitigate potentially harmful interest rate movements will allow for better and faster market development. As well as mitigating risk, swaps can also lower the cost of transactions for local and foreign investors, who may invest in a foreign exchange (FX) swap to protect their investments against volatile exchange rates. EBRD clients often hedge either their interest rate exposure or FX risk. Options, another type of derivative, are more versatile than swaps because, while they can provide an effective hedge, they also facilitate speculation. If an investor is worried about market movements, options can guarantee that their asset will be sold at a certain price. If they are proven wrong, however, they will have to shoulder the extra cost. Aside from hedging, servicing and speculating, derivatives also provide transparency and price discovery insights into capital markets. The nature of the futures market provides a continuous flow of information from around the world. As commodity prices and demand are impacted by a range of market climate conditions, geopolitical events and defaults, it is easy to track movements in commodity prices. Most importantly, however, derivatives can only ever be useful if there is a market underlying them. If there is not, their use can be mainly destructive and can undermine the positive development of capital markets and of local economies. 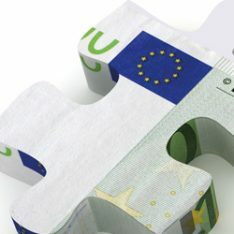 The strategic objective of the LC2 Initiative is to achieve more efficient and self-sustaining financial intermediation in the EBRD’s countries of operations through the broader use of local currencies and the development of local capital markets, thereby contributing to economic growth and a more stable financial environment. The development of the derivatives market is important for establishing stronger capital markets. To assist countries in the EBRD region to effectively use derivatives, the Bank provides support via technical cooperation (TC) projects for reform of the legal and regulatory framework for these capital market instruments. In many developing capital markets, this framework does not provide for the enforceability of derivative transactions or for concepts such as close-out netting or financial collateral. In some countries of operations, derivative transactions are even classified as gambling and are thus considered unenforceable. Source: Based on Figure 1 on page 8 of Karacadag, C, Sundararajan, V and Elliott, J.A. (2003), IMF Working Paper “Managing Risks in Financial Market Development: The Role of Sequencing”. The strategic objective of the LC2 Initiative is to achieve more efficient and self-sustaining financial intermediation in the EBRD’s countries of operations. How does LC2 tackle these issues? It all starts with an assessment45 in which the LC2 Initiative team identifies gaps in a country’s legal framework, infrastructure or skill-set and provides recommendations. The LC2 team coordinates with other units within the EBRD to gain funding approvals and begin their efforts. Subsequently, the team agrees on an action plan with that country’s government or other stakeholders and this forms the basis of a donor-funded TC project. TC projects in this area mostly focus on legal and regulatory reform to introduce the enforceability of derivative transactions and, among other instruments, close-out netting and financial collateral (see boxes). These changes help to bring the existing legislation up to international standards. In 2016 the LC2 and OGC Finance Team completed a derivatives legal and regulatory TC project in Armenia and work in Georgia, Morocco and Ukraine was ongoing at the end of the year. A TC project is soon to begin in Kazakhstan. As well as helping countries adopt good derivatives legislation, the EBRD works to improve the implementation of these laws by enhancing the knowledge of market participants, regulators and the judiciary. It also undertakes efforts to develop derivatives market infrastructure. In such reform efforts, the EBRD closely cooperates with local and international market participants, the International Swaps and Derivatives Association (ISDA) and the International Capital Markets Association (ICMA).The LC2 team collaborates with departments across the Bank throughout the TC project implementation phase working together with OGC Finance and Treasury. Close-out netting is the primary means of mitigating credit risk associated with over-the-counter derivatives transactions. It refers to a process involving the termination of obligations under a contract with a defaulting party and the subsequent combination of positive and negative replacement values into a single net payable or receivable. Financial collateral: Posting collateral is also highly convenient as a means of hedging credit risk, using cash and investment securities as collateral or margin in financial obligations. Parties will post collateral to each other to provide security in the event that one of them defaults on payment. In Armenia, the LC2 team, Treasury and OGC Finance identified a need to introduce hedging instruments and partnered with the Central Bank of Armenia (CBA) to develop a TC project to create the relevant legal framework. Because of its ability to generate efficient and affordable hedging, the CBA saw derivatives as an essential part of its wider capital market development programme, especially with respect to foreign exchange and interest rates. The project constituted an element of the action plan set out by the Memorandum of Understanding on local currency and capital markets development that the EBRD and the Armenian government signed in March 2016. Armenian legislation at that point lacked any specific derivatives regulations, only defining them as a form of security and excluding the use of OTC derivatives. The EBRD and CBA reform programme sought to introduce legal concepts that would facilitate the use of all types of derivative instrument and remove obstacles to their development. It also aimed to create legal certainty as to the enforceability of derivative contracts. This was an important step for the formation of robust capital markets in Armenia as it would enhance the ability of market participants to raise funds in cross-border capital markets transactions. Financial support from the EBRD Shareholder Special Fund facilitated the hiring of local and international consultants who helped the EBRD and the CBA draft the new law. This is a common issue in countries of operations where derivatives are frequently characterised as bets or games, are rarely awarded judicial protection and are often poorly treated under insolvency proceedings. Before the reform, Armenian anti-wagering rules impeded the utility of derivatives. Thanks to the EBRD TC project, Article 1039 of Armenia’s Civil Code was amended to stipulate that claims arising out of derivative financial instruments do not qualify as games or gambling, even if they have features inherent to such provisions. Derivatives were often misdefined or not defined by Armenian legislation. Instead, they were defined as securities, which excluded OTC derivatives from the law’s scope and denied them legislative protection. 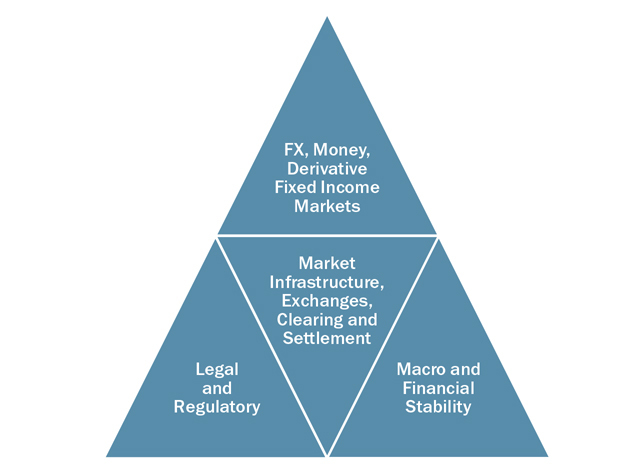 It was decided that defining derivatives as financial instruments would not only facilitate their use, but also would align local legislation with international regulations (for example, the European Union’s Markets in Financial Instruments Directive) and global standards of best practice. A further central concern of the reform project was to ensure that the legal status of market participants would allow them to freely enter into derivatives transactions. The CBA wished to remove restrictions on the capacity of participants to execute derivative instruments or enter into collateral-posting arrangements. To achieve this, the TC project recommended that amendments be made to a number of laws dealing with financial institutions, including the Law on Banks and Banking, the Law on Securitisation and Asset Backed Securities, the Law on Funded Pensions, the Law on Investment Funds, the Law on Credit Organisations, the Law on Insurance and Insurance Activity, the Law on Payment Systems and Payment Organisations, to enable them to enter into derivative transactions. These amendments entered into force in November 2016. Posting collateral is important for derivatives and repurchase agreement (repo) transactions and provides security in the event that one of the parties to the transaction defaults on payment. The Credit Support Annex of the ISDA master agreement facilitates the transfer of collateral and its subsequent use or hypothecation. In respect of financial collateral arrangements, the TC project led to the introduction of amendments to Armenia’s civil code in line with the European Union (EU) directive on Financial Collateral Arrangements. These changes aimed to enable the counterparties to the Credit Support Annex (CSA) to efficiently enforce their rights under collateral posting agreements. Netting arrangements are widely used in the financial markets to manage the credit risk of counterparties. ISDA agreements are based on the enforceability of the netting concept, so it is critical to ensure that netting agreements can be enforced in case of counterparty insolvency. Close-out netting is the primary means of mitigating credit risk associated with OTC derivatives transactions. It refers to a process involving the termination of obligations under a contract with a defaulting party and the subsequent combination of positive and negative replacement values into a single net payable or receivable. The primary goal of the TC project was to establish a safe harbour exemption that would survive the existing moratorium and insolvency regime. This exemption would also allow for the enforceability of close-out provisions for both commercial companies and financial institutions. The approach adopted by the ISDA Model Netting Act and the principles of the International Institute for the Unification of Private Law (UNIDROIT) on the operation of close-out netting provisions were considered and amendments to the abovementioned laws were enacted to set out an efficient close-out netting regime. An important novelty included under the reform was providing applicability of the new close-out regime to repurchase agreements using Global Master Repurchase Agreement (GMRA) standard documentation. To encourage market participation, the EBRD project supported amendments that allow local counterparties to govern their agreements under foreign law, as seen in the ISDA master agreement and in CSAs which acted as model agreements in the reform. This amendment allowed Armenia to further align itself with international practice, making it a more attractive prospect for international counterparties as the country’s capital market continues to develop. Before the reform, Armenian tax laws failed to provide for any specific rules on the taxation of derivative instruments. As a consequence, there were significant questions about whether payments made as a result of the netting of obligations under derivative financial instruments were tax deductible. To address such uncertainty, specific provisions were introduced into the Draft Tax Code. The law was enacted at the end of October 2016 and has already entered into force. Following on from the initial success of the reform project, LC2 are working closely with Armenia to further develop its capital and derivatives markets. The aim of the ISDA, as set out in its mission statement, is to foster safe and efficient derivatives markets to facilitate effective risk management for all users of derivative products. The mission statement also provides a framework and standards that the ISDA requires its members to adopt to guarantee the integrity of the market. The EBRD and the ISDA work closely together to encourage capital market development through the use of derivatives. The framework in the ISDA master agreement facilitates market growth and liquidity by simplifying the comparison of terms between agreements offered by different counterparties. Furthermore, the ISDA requires any participating market to ensure the quality and integrity of its participants’ practices. This contributes to the overall improvement of capital market standards, beyond the trade in derivatives. As well as helping countries adopt good derivatives legislation, the EBRD works to improve the implementation of these laws by enhancing the knowledge of market participants, regulators and the judiciary. The Financial Law Unit within the Legal Transition Programme (LTP) focuses on legal, regulatory and institutional reform that promotes access to finance, improved corporate governance and effective debt restructuring and bankruptcy, as well as related themes and projects. It also engages in capacity building work to help institutions enforce existing financial laws and regulations. In this way, the unit supports the development of a strong and efficient financial and corporate sector in the countries where the EBRD invests. Luxembourg is a founding member of the EBRD and an important contributor to the Bank’s work. In 2013-15 Luxembourg provided €1.14 million for TC assignments conducted by the LTP. In 2016, Luxembourg generously agreed to support projects of this kind for a further three years. 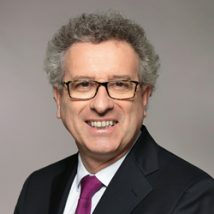 Pierre Gramegna is Luxembourg’s Minister of Finance and from May 2016 to May 2017 was the Chair of the Board of Governors of the EBRD, the body that has overall authority over the Bank. 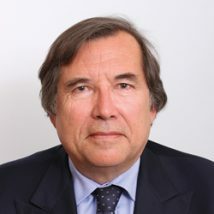 Miguel Marques is Luxembourg’s representative on the EBRD Board of Directors and Franc Cmok is a former Counsel within the Financial Law Unit. Together, they spoke about the collaboration between Luxembourg and the EBRD on developing a better legal environment for the financial system in the Bank’s region. Minister, why did Luxembourg decide to provide support for this area of the Bank’s legal reform work in particular? Pierre Gramegna: Luxembourg is a member of a number of international financial institutions aside from the EBRD – such as the World Bank Group and its International Finance Corporation and the Asian Development Bank. Each institution brings its own added value and we take this into account when deciding how we allocate our funds for TC projects. The donor funds we provide represent around 1 per cent of our gross national income (GNI). This makes us one of the world’s leading aid contributors when it comes to assistance as a percentage of GNI. We are always looking for good projects that help us to leverage our funds. The EBRD’s work on legal transition is crucial for the development of strong and stable market economies in the Bank’s countries of operations. And the Financial Law Unit has unparalleled expertise on the legal and regulatory barriers that restrict access to finance and private sector growth and interfere with the business-enabling environment in the EBRD region. The international community has recognised the importance of empowering the private sector so that more financing is available to meet the Sustainable Development Goals of ending poverty and protecting our planet. This branch of the Bank’s legal reform work – aimed at creating a strong legal and institutional framework for financial transactions – therefore has a vital contribution to make to the wider international development agenda. That is why we were so keen to provide support for TC projects in this area – we believe that this is a smart way of doing a lot with a little. And why the focus on the Western Balkans? Pierre Gramegna: The Western Balkans – and here we are talking about those countries 46 in that region that are not part of the EU – is a neighbouring area of the EU. Therefore its prosperity and stability matter a great deal to Luxembourg. The EBRD is the institution best placed to carry out work in the Western Balkans so it makes sense for us to encourage the Bank’s work in this region. That said, our support for the Financial Law Unit has also funded projects outside the Western Balkans – for example in Tajikistan and Moldova. This means that the regional focus is not exclusive. When we look at the Western Balkans and other countries, we think of our own experience in Luxembourg of transitioning from an economy based primarily on industry and agriculture to one that has a very developed service sector. We understand the importance of a strong financial sector for the development of the national economy as a whole. In order to offer a safe investment climate, it is important to have a strong legal and supervisory framework that is perfectly compliant with European and international norms and standards. I know that good corporate governance, efficient recovery mechanisms and more sophisticated financial products like factoring and leasing take time and effort to be put into place. But the results are worth it in the end. Luxembourg would like to help other countries to learn from our experience. I am convinced that they will see that there is a huge amount to be gained in the long term from these changes. Miguel, how did the partnership between Luxembourg and the Financial Law Unit come about? Miguel Marques: The partnership started in 2012 when Luxembourg and the LTP had a discussion about how they might work more closely together. One major issue that came up was the unpredictability of donor funding for LTP projects. EBRD lawyers might discuss a TC project with a government in the region, but would not know if they would get donor funding for the assignment, which made it difficult to have meaningful negotiations with government officials, especially regarding timelines. They were particularly keen to address this issue with regard to financial law projects and projects in the Western Balkans. So we asked LTP to put together a pipeline of projects and then agreed to provide funding for these TC assignments over several years. By entering into a multi-year commitment, albeit an informal one at this stage, we gave the Financial Law Unit the certainty that funding would be available for their projects for the next three years. The arrangement also had the advantage of reducing some of the administrative burden associated with TC approvals, both for us and for the Bank. Of course, whether or not these assignments take place depends a lot on political factors in the countries in question, but we at least wanted to maximise the EBRD’s ability to respond to those governments that are willing to engage with the LTP. The system is now well established and works well for us. After agreeing to the Financial Law Unit’s pipeline of projects, we ask for the budgets, terms of reference and descriptions of proposed individual assignments. I discuss these with my colleagues in Luxembourg and within a week we are able to say whether we are willing to fund the project. Between 2013 and 2015, Luxembourg provided €1.14 million for TC assignments by LTP, including financial law reform projects in the Western Balkans and other countries. In 2016, we signed a replenishment of Luxembourg’s TC fund at the Bank worth €6 million, to be disbursed in three instalments of €2 million per year, starting last year. Of this amount, about a third has been earmarked for the Financial Law Unit to ensure it has certainty about its TC funding for a further three years. Franc, how important is it for the Financial Law Unit to have this kind of donor partnership in place? 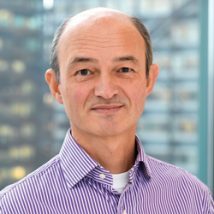 Franc Cmok: We are very grateful to Luxembourg for their long-standing and ongoing support for our work. This relationship gives us a huge degree of clarity and reliability and makes it much easier for us to plan ahead. As Miguel said, it is very important for our policy dialogue with governments because it means we know we have someone who is prepared to finance the projects under discussion. We can be much faster and more flexible in dealing with government officials. For example, in 2016 we did an Assessment of Impediments to the Sale of Non-Performing Loans in Serbia. This was very important to the authorities in Belgrade, who needed the assessment to be done quickly as they faced strict timelines associated with the reform programme agreed with the International Monetary Fund (IMF) as a condition of the latter’s assistance. Thanks to our excellent relationship with Luxembourg, we were able to do the project very quickly and it received widespread praise. What other TC projects funded by Luxembourg stand out for you? Franc Cmok: There are many that deserve to be mentioned and it feels a bit unfair to select only a few. That said, one that stood out for me was the Revision of the Serbian Mortgage Legal Framework. It helped to introduce out-of-court enforcement of mortgage claims, in other words the sale of mortgages that had been given as loan collateral. This was very important for banks dealing with the very high non-performing loan (NPL) levels that still exist in Serbia. I have worked on NPL resolution and know how extremely difficult it is to sell collateral out of court in Serbia, so this project was badly needed. Another notable assignment was on the Regulation of Leasing in Montenegro. The existing law hinders the development of the leasing market. Leasing is important for SMEs who often don’t have enough assets to use as collateral for bank loans and this prevents them from investing in production equipment or other assets. Thanks to leasing, SMEs can obtain equipment and use it to create a cash flow with which they can pay the lessor, increase their income levels and grow their business. Montenegro, like many countries in the Western Balkans, relies heavily on SMEs for its economic vitality and has a lot to gain from legal reforms that can increase access to finance for small businesses. As I said, we have carried out many other excellent projects with funding from Luxembourg and we have a rich pipeline of future projects for the next few years. There is a lot that still needs to be done in the Western Balkans, especially when it comes to resolving high NPL levels and widening access to finance, so we expect to remain very busy in this region! Miguel Marques: I’d like to add that we have been very impressed by the innovative nature of the Financial Law Unit’s projects – some of the financial instruments they are trying to introduce in the region are not very well known even in Luxembourg! We see that as part of the value of this partnership: we are able to help the EBRD try new things which, if they work, can be replicated in other markets. It is a very successful collaboration for both sides and we are committed to remaining in constant dialogue with the Financial Law Unit so that we can continue to respond to its needs. In order to turn their NDCs into reality, however, many countries around the world will need to strengthen their legal, regulatory and institutional frameworks to encourage increased levels of climate investment. This is an area where the EBRD’s Legal Transition Programme (LTP) has much to offer. For more than 10 years the Bank has been at the forefront of efforts to tackle climate change. From 2006 to 2016, the EBRD invested €22 billion in projects that seek to increase the energy and resource efficiency of businesses and households, promote the use of renewable energy or help countries adapt to the effects of a changing climate. In 2015, the EBRD launched its Green Economy Transition (GET) approach,48 which aims to further increase the volume of the Bank’s sustainable financing to 40 per cent of Annual Bank Investment (ABI) by 2020 and broaden its scope. 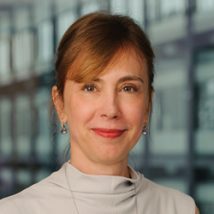 “Given the EBRD’s long track record of helping our countries of operations put in place legal and regulatory frameworks that favour energy efficiency as well as broader climate investments, we are very well placed to provide guidance on targeted legal and institutional reforms that governments might need to carry out in order to meet their NDC commitments,” says EBRD Principal Counsel Vesselina Haralampieva, who leads LTP work on climate issues. 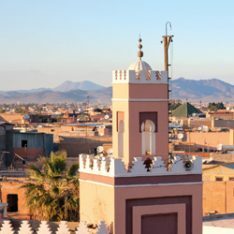 In July 2016, the LTP launched a pilot, donor-funded assessment of the national policy, legal and institutional measures required for the implementation of the NDCs in three EBRD countries of operations: Jordan, Morocco and Tunisia. Under the Paris agreement, national governments are expected to identify and pursue key measures that would facilitate the development and implementation of mitigation adaptation and finance commitments set out in their NDCs. There is a legal obligation on all parties to report to each other and to the public on how well they are doing with regard to implementation. They are also required to update their NDCs every five years, anticipating an increase of ambition and resolve over time. “Implementing the NDCs may require governments to revise current or develop new policies and legislation and strengthen their institutional and technical capacity,” says Vesselina. “In particular, countries may use domestic law to create overarching obligations to reach climate mitigation or adaptation targets, as well as enacting a range of other measures. Examples include laws on emissions, energy efficiency, energy markets, land use, water management and transport, as well as legal frameworks related to climate finance. The NDC study in Jordan, Morocco and Tunisia drew on the help of international and local experts and practitioners. It aimed to (i) identify the legal, institutional, regulatory and sectoral barriers to achieving countries’ targets under their NDCs; and (ii) use the conclusions of the research to inform discussions with authorities on developing and implementing practical recommendations on how to address and overcome these barriers. For more than 10 years the Bank has been at the forefront of efforts to tackle climate change. The study provides specific recommendations for each country as well as for private investors, donors and civil society organisations. Overall, the study emphasised the need to coordinate legal, institutional and regulatory measures for climate mitigation and adaptation investments across all sectors and introduce transparent monitoring, reporting and verification requirements for carbon emissions. A lack of regulatory transparency – for example, in the renewable energy sector, with regard to the setting of tariffs in Tunisia or the licensing process in Jordan – is impeding the development of renewable energy or energy efficiency projects. This is compounded by low awareness among domestic and international investors of available incentives. The assessment found, however, that significant legal reforms in recent years are paving the way to or have created a more favourable investment climate. Notably, the Tunisian constitution of 2014 provides for the right to a clean environment and highlights the importance of making a “contribution to climate security”.50 On 30 September 2016, legislators in Tunisia passed a new investment code that provides for specific premiums for investments “contributing to the fight against pollution and to environmental protection.”51 The implementation of the new legislation is yet to be seen, although some deficiencies have already been identified in the assessment. The government of Morocco has designed a legislative framework to encourage private investment in renewable energy and created two agencies to support solar energy projects. The assessment found that significant legal reforms in recent years are paving the way to or have created a more favourable investment climate. In Jordan, rising energy prices and recent regulatory changes have made investments in renewable energy generation and energy efficiency attractive for the private sector. To simplify the complex bidding process, the Renewable Energy and Energy Efficiency Law (REEL) of 2012 allows investors to develop renewable energy projects and propose them directly to the government, instead of having to wait for a government-initiated tender. In 2015, the Ministry of Energy switched to competitive tenders, prompting very attractive investment proposals for the development of new solar energy sites. A new regulation allows businesses to generate renewable energy in a location far from their place of operation and, by feeding it back to the grid, to offset their energy bill. Through the introduction of these innovative regulations, Jordan has boosted investor interest and become a leader in the renewables energy market in the SEMED region. Last year, for example, the EBRD extended a syndicated loan to a subsidiary of ACWA Power, an electricity and desalination company based in Saudi Arabia, for the construction of a solar power plant at Mafraq in northern Jordan.52 By showcasing these reforms and the lessons learned from them, the NDC study aims to act as a catalyst for similar legal and regulatory changes in neighbouring countries. A significant legal impediment to the further development of the renewable energy sector in Jordan, however, is the restriction on direct energy sales to domestic or foreign consumers by private renewable power companies. The assessment recommended allowing private-to-private energy sales, reducing the land purchase and investigation burden and improving the clarity and transparency of administrative processes in order to further stimulate renewable energy development in the country. Through the introduction of innovative regulations, Jordan has boosted investor interest and become a leader in the renewables energy market in the SEMED region. In Tunisia, the state-owned power company STEG53 enjoys a monopoly and is vertically integrated. These features, combined with a widely held perception that STEG’s tariff-setting lacks transparency, inhibit the emergence of independent power producers (IPPs) and private-to-private power transmission. In order to help Tunisia meet its renewable energy targets, the assessment recommended the development of sound and transparent secondary legislation, including IPP regimes, the creation of an independent regulatory body for the Tunisian power sector and the simplification of land ownership arrangements. In particular, effective regulatory monitoring would ensure STEG does not have conflicts of interest regarding the connection of private renewable energy suppliers and consumers and would allow a competitive sector environment. The report points out the limited monitoring and enforcement of energy efficiency (EE) regulations in Jordan and the unclear references to EE standards in Tunisian construction and infrastructure regulations. Moreover, there is a lack of knowledge of new construction and operational techniques, as well as of EE measures, among builders and property owners in Tunisia. In Jordan investors lack awareness of financial incentives for EE ventures. The assessment recommends strengthening the capacity of regulators in Jordan to monitor and enforce EE regulations and the introduction of energy performance certificates for buildings. In Tunisia, the introduction of smart meters and more informative billing practices, coupled with the removal of inefficient energy subsidies, could incentivise more conservative energy use by consumers. Jordan, Morocco and Tunisia all face water scarcity issues. An analysis of the three countries’ legal frameworks reveals gaps in their water management policies. According to the study, in order for Morocco to achieve its NDC water targets, barriers to private sector participation in the operation of infrastructure and services related to wastewater and irrigation should be removed. Better water management plans are recommended, along with legal reforms aimed at encouraging water conservation. This would include the introduction of specific quotas and safe yield amounts for groundwater extraction. The management of water resources is a politically sensitive issue in Tunisia due to the competing demands of farmers, industry and city dwellers. The study recommended strengthening regulatory safeguards in the water sector and reinforcing the involvement of users in water management planning in order to generate improved user buy-in. The monitoring of compliance, enforcement and of other aspects of the implementation of international commitments is not very strong in any of the three pilot case study countries. Nevertheless, institutional arrangements envisaged under the Paris agreement that promote transparency and other monitoring and reporting obligations may help countries deliver on their commitments under the NDCs. Private investors should take a leadership position when it comes to low-carbon and climate-resilient development by adopting a longer-term approach to investments and risk decisions, according to the assessment. By acting as first movers, investors will reap the benefits of government incentives and avoid being left behind when regulations are tightened on carbon-intensive investments. The assessment notes that international coordination may be extremely important for improving political stability in the region, as well as for strengthening these countries’ capacity for the regular monitoring, review and verification of their climate change commitments. Furthermore, public engagement in the legal reform process is key to designing a successful legal and institutional framework. Civil society organisations are well-placed to provide capacity-building and training for citizens. Specialised training programmes on climate change and environmental matters should be organised (such as training judges on climate-related litigation) and information campaigns should raise awareness among businesses of low-carbon and climate-resilient investment opportunities. Multilateral development banks (MDBs) such as the EBRD and other international institutions also have an important role to play. The conference in Marrakesh saw the launch of the NDC Partnership,54 which is a coalition of governments and international institutions aimed at helping countries achieve their climate goals. The EBRD is a founding member of the NDC Partnership. In 2016, other LTP work that supported the fight against climate change included participation in a seminar organised by the Commonwealth,55 in collaboration with the United Nations Framework Convention on Climate Change (UNFCCC)56 and the United Nations Environment Programme (UNEP),57 in London in December. This event focused on the need to develop a toolkit on law and climate change that would provide guidance to countries on the legal reforms and institutional transformations needed to meet their NDC commitments and attract financial flows. The EBRD presented the legal analysis it carried out on the legal instruments for NDC implementation in Jordan, Morocco and Tunisia. At the World Bank’s Law, Justice and Development Week58 in Washington, DC, in December, the EBRD encouraged discussion of the various approaches states may choose when implementing the NDCs, such as developing an overarching climate act, strengthening their environmental legislation 59 and focusing on legislation that attracts financing for priority sectors. 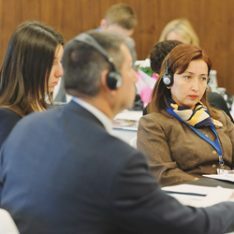 Over the past decade, the EBRD has supported the establishment of Investment Councils (ICs), which are platforms for public-private dialogue that bring together high-level government officials, representatives of business associations and experts from international financial institutions (IFIs). The ICs are advisory bodies that aim to facilitate dialogue between governments and the private sector and allow them to work together to tackle challenges related to the investment climate, such as improving governance and fighting corruption. The EBRD supports the secretariats of ICs in Albania, Armenia, Georgia, the Kyrgyz Republic, Moldova and Tajikistan and is working towards establishing similar bodies in Bosnia and Herzegovina and Bulgaria. The Bank designs and helps to establish secretariats staffed with economic and legal experts. Secretariats organise the annual workplans of ICs; request that meetings are convened; structure the agenda of those meetings; and provide most of the background research on policy proposals discussed and, where appropriate, approved by IC members. These secretariats also monitor the implementation by government ministries of IC policy decisions. Donors make a vital contribution to the work of ICs by funding their secretariats. The evidence provided by annual reports suggests that ICs lead to real improvements in the dialogue between the private sector and state authorities. In some cases, they have helped a country to improve its performance in the World Bank’s Doing Business report60 which measures business regulations. In recent years, ICs have supported the creation of business-enabling environments, for example by promoting better diagnosis of investment climate problems and improved policy design and by strengthening the position of reformers within governments. ICs do not replace the activity of any ministry, agency or institution. Instead, they harness private sector expertise to enhance the coordination and prioritisation of government economic policies and promote the use of evidence-based decision-making. An IC can also strengthen the role of the business community and of civil society in monitoring the effectiveness of governance reform. These councils are part of a complex jigsaw of institutions, policies and reform initiatives and reflect an important lesson that the EBRD has learned from its long experience: namely that transition is not just about building markets and the private sector. It is also about improving the quality of state and private institutions and ensuring that they work well together. ICs have a vital role to play in this endeavour. For real partnership to develop, governments have to be ready to listen to the private sector, think long term and make good policy choices. Businesses are – and should be treated as – active partners in the fight against corruption and in other efforts to improve the investment climate. Furthermore, consultation with the private sector in the elaboration of national and sector-specific plans is required to ensure inclusive growth and provide economic opportunities for all segments of the population. From environmental protection to health, from agriculture to water and energy supply, many policy areas converge with private operations. Private and public sectors alike benefit from coordinating on frameworks related to these issues. Sustained engagement between officials and businesses also helps to build trust, understanding and mutual cooperation. The evidence provided by annual reports suggests that Investment Councils lead to real improvements in the dialogue between the private sector and state authorities. The challenge for the EBRD – beyond ensuring continued donor support and financial sustainability for ICs – is to translate the dialogue that these councils facilitate into concrete and sustainable improvements to the investment climate. When they perform badly, ICs can not only waste the time and resources of participants but also worsen the problems they seek to solve. For instance, if not sufficiently transparent and broad-based in its composition, an IC risks becoming a forum from which the authorities can deliver lectures to the private sector on certain issues. Our experience in other countries shows that, if its meetings are poorly planned, an IC can degenerate into a talking shop, which leads to disengagement and loss of credibility, gives strength to reform opponents and slows down the reform process. Moreover, if these initiatives do not make special efforts to include small and medium-sized enterprises (SMEs) and those from the regions, they can be dominated by big businesses or by companies based in the capital city. Lastly, councils whose activities are not well coordinated with those of existing institutions and other mechanisms for dialogue can result in a duplication of effort that overburdens and confuses participants. Nevertheless, provided that ICs take these risks into account and maintain a strong focus on openness to public scrutiny, inclusion and forward-planning, they stand ready to make a real difference to the business environment as well as to wider society in the EBRD’s countries of operations. The Investment Council of Albania, inaugurated in April 2015, is chaired by the Minister of Economy and meets six times a year. It represents the flagship project of the work currently carried out by the EBRD in the context of a Memorandum of Understanding on investment climate and good governance signed with Albania in 2014. The IC brings together heads of business associations and chambers of commerce, policy-makers (for example, ministers and heads of government agencies), and senior representatives of the European Union (EU), the EBRD and the World Bank Group. To date, the Albanian IC has met eight times. Of the 45 recommendations it has issued, seven have been fully implemented, 12 partially implemented and 10 are still under consideration. Most of the implemented recommendations relate to the simplification of tax procedures and tax dispute resolution, as reflected in the latest amendments to the Law on Tax Procedures, approved by parliament in November 2016. Among other implemented recommendations were amendments to the public consultation process for legislative initiatives. The Albanian IC secretariat is funded by the Italian Cooperation Fund at the EBRD and the Central European Initiative. In Armenia the IC is known as the Business Support Office (BSO) and was established with EBRD support in 2008. During the first few years of its operations, however, the BSO struggled to establish a clear mandate and operating procedures, and its position within the investment climate in Armenia was somewhat tenuous. In 2011, therefore, the Bank intensified its engagement with the Armenian authorities and business community and succeeded in establishing a clear operational orientation for the BSO that remains in place. The BSO is unique among the ICs the EBRD supports in serving two different platforms: the SME Development Council and the Inspections Reform Coordination Council (IRCC), both of which are chaired by the prime minister. The BSO serves as part of the secretariat to the SME Development Council and is the primary professional structure underpinning that body’s work. The BSO also participates in the IRCC’s support unit, which includes the Ministry of Economy’s Inspections Reform Team as well as two experts from the International Finance Corporation (IFC). Within that core unit, the BSO primarily provides expert legal advice on inspections reform proposals. This includes the drafting of primary legislation (such as the new Law on Inspections, which was approved by the National Assembly in 2015). Among recent achievements was the establishment of a new Markets Surveillance Inspection Body for which BSO staff drafted the statute and other foundational documents. The government approved the decision to establish this new body at a meeting of the IRCC. The BSO is funded through the EBRD Shareholder Special Fund (SSF). 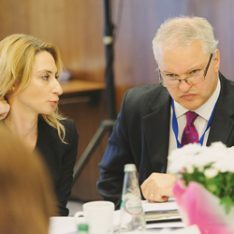 The Economic Council under the Prime Minister of Moldova (hereafter referred to as the IC) was launched with EBRD support in early 2013, as part of the Bank’s Early Transition Countries Initiative (ETCI), and became operational in late 2013. The impact and effectiveness of the Moldovan IC have varied over the past three years, as political turbulence and weak economic governance in the country have resulted in frequent changes in the premiership (four prime ministers and two acting prime ministers in three years). The IC enjoyed strong support under former Prime Minister Iurie Leancă and notable achievements stemming from this period included a dramatic improvement in corporate ownership transparency and a significant streamlining of the bureaucratic obstacles to foreign trade. In particular, following a strong advocacy effort on the part of the IC, a list of the names of the owners and founders of about 200,000 Moldovan companies was published. This improvement alone saw Moldova climb to third place in the global Open Company Data Index61 behind Denmark and the United Kingdom. Other prime ministers, however, held office for shorter periods of time and had limited involvement in the IC. In 2016, serving Prime Minister Pavel Filip placed significant emphasis on the work of the council. It remains to be seen whether the political situation in the country will stabilise enough for the IC to once again deliver concrete improvements to the investment climate. The IC secretariat is funded by the UK Good Governance Fund. 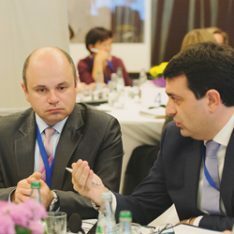 The Investors Council of Georgia (IC) was established in 2015 by the EBRD and the Georgian government after it became apparent that a number of recent reforms had yet to be fully implemented and that other changes to the investment climate were still needed. Furthermore, officials were taking policy decisions on issues that were contentious for the private sector without a sufficient degree of consultation, contributing to a sense of discontent among investors. The IC sought to support a constructive dialogue between the government and the private sector on these issues. The Georgian IC is chaired by the prime minister and draws its members from the government, the EBRD, other IFIs, and five prominent business associations. Thanks to the efforts of its secretariat, the IC has succeeded in securing the recognition of public officials as well as of businesses and donors. Its work has included providing advice on amendments to the Law on Injunctions; giving assistance to the Revenue Service for an assessment of the regulatory impact of implementing an EU directive on value-added tax (VAT); and judicial reform activities. These saw the IC establish a working group focused on promoting the independence, integrity and reliability of the judicial system. The Georgian IC secretariat is funded by the UK Good Governance Fund. The EBRD helped establish an IC in the Kyrgyz Republic in 2008 and has been supporting its secretariat ever since. The Bank recently carried out an internal assessment of the activities of this IC and its secretariat among its stakeholders (that is, business associations, other representatives of the private sector, IFIs, donors and the Kyrgyz government). They all agreed that the IC serves an important and, in the Kyrgyz context, unique role as the voice of the private sector, able to raise topical issues at the highest political levels and to take concrete steps to deliver investment climate improvements. As part of efforts to deepen public-private dialogue, the IC secretariat recently started developing a network of regional ICs and appointed a parliamentary liaison officer. Noteworthy outcomes of the secretariat’s work include a new draft law on licensing and permits that received approval from the Investment Council. In 2015, the Kyrgyz parliament approved risk-based tax audit reforms that had been initiated by the IC. These reforms significantly reduce the number of tax audits to which businesses can be subject each year and discourage unjustified inspections.The secretariat is funded through the SSF. The EBRD has supported the IC and its secretariat in Tajikistan since their foundation in 2007. The Tajik council differs from other ICs supported by the Bank inasmuch as it is the only IC chaired by the president (four of the other five ICs are chaired by prime ministers and one by the economy minister). Given the strongly centralised nature of the Tajik government, this is seen as an important means of ensuring the IC’s high profile and its capacity to shape investment climate reform dialogue. Positioning the secretariat very close to the Tajik government has, however, affected the perceived independence of the IC among the business community and weakened trust in the council’s willingness and capacity to act on behalf of the private sector. Despite these systemic constraints, the IC secretariat has contributed to the drafting of a wide range of regulatory and legal reforms and monitored their implementation. The secretariat is responsible for the preparation of the government’s action plan on improving Tajikistan’s indicators in the World Bank Doing Business report. The 2017 edition of the report62 saw Tajikistan strengthen its position by two points, with a dramatic increase of position in the Paying Taxes category, by 33 points, compared with the previous year. The secretariat is funded through the SSF. Throughout the first 25 years of its existence, the EBRD has witnessed that governments who listen and respond to the concerns of the private sector are more likely to devise sensible prioritisation plans and workable reforms. By providing businesses with a voice and by inviting greater public scrutiny, ICs can make important contributions. They enhance public and corporate governance, improve the quality of advice that governments receive from the private sector, and promote more evidence-based advocacy. This occurs, however, only as long as these platforms retain their transparent, independent and inclusive nature, which the Bank seeks to strengthen through its engagement. By providing businesses with a voice and by inviting greater public scrutiny, Investment Councils can make important contributions. 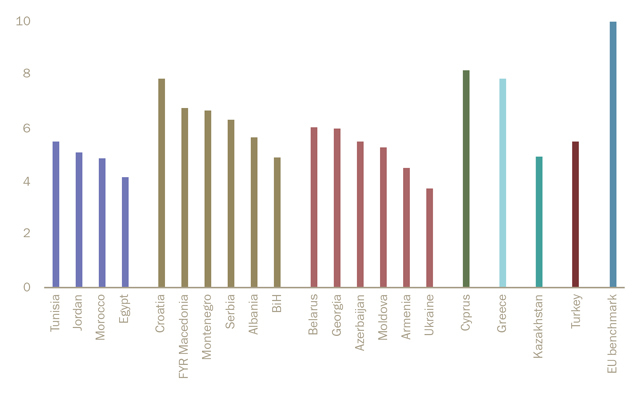 The EBRD has conducted several assessments of legislative frameworks regulating public-private partnerships (PPPs) and concessions in the Bank’s countries of operations, with the last occurring in 2011.63 These assessments identify the strengths and weaknesses of a given framework with regard to the extent and effectiveness of its laws. They highlight legislative gaps by comparing laws in the region with modern, internationally accepted legal standards for the private financing of infrastructure. The latest EBRD assessment of PPP/concession legislative frameworks began in 2016 and will finish in 2017. This article, which draws on the preliminary findings of that assessment, identifies eight trends that are receiving increased attention from legislators drafting PPP/concession laws and that are not covered in the UNCITRAL Legislative Guide on Privately Financed Legislative Projects (the UNCITRAL Legislative Guide).64 In some cases the authors give their opinion as to the desirability of addressing these topics through legislative reforms in the EBRD region. This section looks at the trend towards making more detailed preparatory studies mandatory for PPP and concession projects. In France, for example, the law regulating private finance initiatives (PFIs) requires a study evaluating the financial sustainability of a project throughout its lifetime, in addition to the preparatory study. It also requires this budgetary sustainability study to be approved by the Ministry of Finance before a PFI project can proceed. This is because PFI contracts involve the direct financial commitment of public budgets, mainly through fixed payments over a long period, with no commercial risk and no delegation of public services. They therefore expose contracting authorities to a different form of financial risk, compared with traditional concession contracts, and warrant a separate financial sustainability study. In traditional concession and build-operate-transfer (BOT) contracts, the concessionaire and its lenders are primarily responsible for the project’s financial performance. In the case of concessionaire default and early contract termination, however, the contracting authority is exposed to financial liabilities. These may result from public guarantees (for example, regarding minimum levels of traffic or revenue or the performance of another public body) or from the cost of the public purchase of the project’s non-depreciated assets. Article 7 of the Model Law on Public-Private Partnerships for the CIS Member States65 (CIS Model Law) stipulates that all PPP projects shall be prepared on the basis of preliminary financial and economic calculations that help assess their rationale and efficiency, as well as identifying the optimal form for successful implementation. A requirement to prepare a financial feasibility study for public-private partnership projects appears in Article 9 of the Model Law. When a contracting authority is considering engaging in a PPP project, it needs to conduct comparative studies as part of its preparatory work. These enable the authority to determine whether a PPP is the most appropriate form of public procurement for a given facility or service. An important feature of comparative studies is that they consider whether a proposed project represents good value for money. A PPP project is said to achieve value for money if it costs less than the best realistic public sector project alternative (often a hypothetical version of the project) delivering the same (or very similar) services. This public sector alternative is often referred to as the “public sector comparator” (PSC).66 A value-for-money definition is included in many recent PPP laws, mainly in common law countries such as Ghana or Timor-Leste. Value-for-money assessment exercises may, however, prove extremely sophisticated, costly and time-consuming while also lacking objectivity. A pragmatic approach is therefore recommended. Rather than emphasising the traditional distinction between government-paid PFI contracts and user-pay concession agreements, Russia’s new PPP law features an ownership criteria. The law defines a PPP project as one allowing private ownership of the infrastructure in question. Concessions, by contrast, are marked by public ownership of the infrastructure. Under this ownership test, concessions therefore include traditional concessions as well as some other forms of contract (such as BOTs) where the ownership of facilities becomes public on completion of works and remains public. In a PPP, the possibility exists of the infrastructure remaining in private hands, although this does not necessarily occur. The CIS Model Law features a provision requiring the transfer of ownership to the public at the end of a project’s operation phase in cases where its public financing exceeded any private financing. Similar provisions exist in the legislation of various CIS countries. Value-for-money assessment exercises may, however, prove extremely sophisticated, costly and time-consuming while also lacking objectivity. Political sensitivities around unsolicited proposals may generate strong opposition to the enactment of a PPP law. In some cases, critics of a proposed law consider that it does not sufficiently reward the private innovation necessary for a country’s development. In other cases, opponents of a draft law argue that it gives undue advantage to the private party generating the proposal. They suggest that this may encourage private companies to try to bribe public officials in order to win excessively lucrative contracts. The general trend in recent legislative developments is for the public party to consider the unsolicited proposal and, if it elects to retain the project as a PPP following a feasibility study financed by the private party, to start a normal tender process. The proposer is invited to participate in the tender if it has the required qualifications and may receive limited financial compensation if the contract is awarded to another party. During the UNCITRAL Colloquium in Vienna in 201467 it was agreed that this issue, which is addressed in the UNCITRAL Legislative Guide, should be revisited in response to concerns about corruption in the handling of unsolicited proposals. There are provisions regarding unsolicited proposals in the CIS Model Law, in the new Russian PPP law and in recent amendments to the Russian law on concessions, as well as in most other recent PPP and concession laws. In Senegal, one of the main reasons for the enactment of a new BOT law in 201468 was to update the provision on unsolicited proposals. This is probably the most liberal PPP law, with regard to unsolicited proposals, as the previous legislation was believed to have prevented large volumes of investment from the Gulf countries. The new law provides better incentives for the proposer, such as the possibility of direct negotiations in some circumstances or of submitting a final bid in cases where the proposer is not the best bidder. Another issue for legislators to consider is the extent to which unsolicited proposals comply with a government’s general development policy. PPP legislation should strike a balance between encouraging private initiative and innovation and protecting the state from excessive financial risk, while also ensuring that unsolicited proposals do not become a way of by-passing other tender procedures that reflect the established needs of a country. Competitive dialogue may be very useful for complex contracts requiring highly specialised technical or financial skills that contracting authorities do not possess or cannot obtain through the use of consultants. Often, however, it involves parallel negotiations that carry serious risks with respect to transparency and fair competition. These negotiations may also generate scope for collusion if the tender process is not fully mastered by the contracting authority. The 2004 EU Procurement Directive allowed for the use of competitive dialogue only in the case of particularly complex contracts (Article 29).69 But the latest EU Procurement Directive,70 dating from 2014, allows the use of competitive dialogue in a wider range of circumstances. These include the absence of readily available alternative solutions, the need for innovative solutions or the inability of the contracting authority to establish technical specifications that are sufficiently precise. “In the case of a particularly complex public-private partnership project, where it is objectively impossible for a public subject to identify the most efficient technical, legal, and financial forms of project implementation, it shall be allowed to hold a competitive dialogue with private parties with a view to identifying the most advantageous form of the project implementation”. In most cases, the financial closing of a PPP requires the signature of one or more direct agreement(s) between the government, lenders and guarantors as well as with the project’s main contractors and operators. A direct agreement allows lenders to agree with the guarantor on the steps to be taken, in the case of concessionaire default, to preserve the lenders’ and the government’s interests. The agreement also allows for the replacement of the defaulting concessionaire and the continuation of public services. The CIS Model Law features 16 references to direct agreements. This shows their importance as a means of facilitating the financial closing of a PPP project. The inclusion of a reference to direct agreements in a PPP law can save a great deal of time that project participants might otherwise spend on discussing an issue that most lenders consider a potential barrier to concluding a project agreement. Several recent PPP laws71 require the creation of a fund to finance a project’s preparatory work, evaluation or feasibility studies and selection process. Funds of this type help contracting authorities in emerging countries access external advice before concluding PPP agreements with private operators who are often much better acquainted with project finance techniques. External assistance of this nature makes an important contribution to capacity-building efforts within contracting authorities. In 2014, the EBRD launched the Infrastructure Project Preparation Facility (IPPF)72 to help public bodies structure and develop their PPP projects. Other international financial institutions (IFIs), including the Asian Development Bank (ADB) and the World Bank Group, have created or are in the process of creating similar funds. Guarantee funds, such as those established in Brazil, help to reduce the need for numerous state guarantees, multi-annual budgetary commitments or prior authorisation through budgetary law. They can also assist in keeping project costs down and limiting public liabilities. PPP investment funds help to fill temporary or structural financial gaps. For example, the draft PPP law in Ghana foresees the creation of a Viability Gap Support Scheme for projects that are economically profitable but not financially viable. Governments must determine whether the possible detrimental effects of a PPP project on society or the environment outweigh its potential benefits and consider how any negative impacts may be mitigated. Several new PPP laws, such as those of Ghana or Timor-Leste, take the socioeconomic and environmental impacts of projects into account and make provisions for greater stakeholder participation in order to improve the sustainability of a PPP contract’s design and implementation. The CIS Model Law also underlines the need to involve citizens from the bid selection stage (for example through a public enquiry) through to the implementation stage (through regular information-sharing initiatives and efficient complaints procedures). The PPP market has been developing fairly rapidly since its inception around 1990. Accordingly, both policies and techniques used to prepare and implement PPPs keep evolving. The trends discussed in this article are just some of the more interesting features and arrangements that have come under the spotlight recently. A number of other ideas and approaches are being debated and tested in practice as more and more countries are motivated to try PPPs. The authors keep a close eye on various regulatory experiments and legislative trends – some of which may become the subject of a future article. A number of other ideas and approaches are being debated and tested in practice as more and more countries are motivated to try public-private partnerships. http://standard.open-contracting.org/latest/en/# (last accessed on 9 January 2017). https://prozorro.gov.ua/en/monitoryng/ (last accessed on 9 January 2017). Report by Wood & Company dated 11 November 2013 on Romgaz, initiation of coverage. See 2014/208/EU: Commission Recommendation of 9 April 2014 on the quality of corporate governance reporting (“comply or explain”). http://cgdevelopmentframework.com/ (last accessed 13 January 2017). http://www.electrica.ro/wp-content/uploads/2016/11/Press-release_Q3-2016.pdf (last accessed 18 January 2017). Using the conversion rate at the end of 2015. http://www.prnewswire.co.uk/news-releases/piraeus-bank-announces-appointment-of-new-chairman-and-board-members-599558991.html (last accessed 13 January 2017). EBRD, Annual Report 2016, London. Agreement for Mutual Enforcement of Debarment Decisions (2010), http://www.ebrd.com/downloads/integrity/Debar.pdf (last accessed 25 November 2016). World Bank Press Release 2010/341/INT (2010),“World Bank, Multilateral Development Banks (MDBs) Step Up Their Fight Against Corruption With Joint Sanction Accord”, http://www.worldbank.org/en/news/press-release/2010/04/09/multilateral-development-banks-step-up-fight-against-corruption-joint-sanction-accord (last accessed 25 November 2016). F. A. Fariello, Junior and G. Bo (2015), “Development-Oriented Alternatives to Debarment as an Anticorruption Accountability Tool”, World Bank Legal Review Volume 6, pp.  415, 429 [hereinafter “Development Alternatives”]. World Bank Group, Integrity Vice Presidency (2016), Annual Update: Integrity Vice Presidency [INT], Fiscal Year 2016, pp 12-13, http://pubdocs.worldbank.org/en/118471475857477799/INT-FY16-Annual-Update-web.pdf [hereinafter “INT Update 2016”]. (last accessed 25 November 2016). Development Alternatives, supra note 4, at 429. EBRD, Annual Report 2011, p. 67, London; EBRD, Annual Report 2012, p. 48; EBRD, Annual Report 2013, p. 49; EBRD, Annual Report 2014, p. 49; EBRD, Annual Report 2015, p. 57, All can be found here: www.ebrd.com/annual-report. (last accessed 25 November 2016). See “Cross Debarred Entities”, crossdebarment.org, https://lnadbg4.adb.org/oai001p.nsf (last accessed 25 November 2016). R. Schaap and C. Divino (2016), “The AMEDD Five Years On: Trends in Enforcement Actions and Challenges Facing the Enforcement Landscape”, 57 Harvard International Law Journal Online, p.20, http://www.harvardilj.org/wp-content/uploads/January-2016_Vol-57_Schaap-Divino.pdf [hereinafter “AMEDD Five Years On”]. (last accessed 25 November 2016). World Bank Group, Integrity Vice Presidency (2014), Annual Update: Integrity Vice Presidency [INT], Fiscal Year 2014, p. 34, supra note 7, at 25, http://pubdocs.worldbank.org/en/663211449168835106/INT-FY14-Annual-Update.pdf (last accessed 25 November 2016). World Bank Group, “Review of the World Bank Group Sanctions Regime 2011-2014, Phase 1 Review: Stock-Taking”, para. 28, https://consultations.worldbank.org/Data/hub/files/consultation-template/consultation-review-world-bank-group-sanctions-systemopenconsultationtemplate/materials/sanctionsreview_initiatingdiscussionbrief.pdf [hereinafter “WB Phase 1 Review”]. (last accessed 25 November 2016). INT Update 2016, supra note 7, at 4. African Development Bank Group (2015), “Integrity in Development: AfDB and Hitachi, Ltd. conclude settlement agreement”, http://www.afdb.org/en/news-and-events/article/integrity-in-development-afdb-and-hitachi-ltd-conclude-settlement-agreement-15118/. (last accessed 25 November 2016). African Development Bank Group (2014), “Integrity in AfDB Projects: AfDB debars and fines China First Highway Engineering Co. Ltd.”, http://www.afdb.org/en/news-and-events/article/integrity-in-afdb-projects-afdb-debars-and-fines-china-first-highway-engineering-co-ltd-13851/; World Bank (2012), World Bank Press Release 2012/282/INT, “Enforcing Accountability: World Bank Debars Alstom Hydro France, Alstom Network Schweiz AG, and their Affiliates”, http://www.worldbank.org/en/news/press-release/2012/02/22/enforcing-accountability-world-bank-debars-alstom-hydro-france-alstom-network-schweiz-ag-and-their-affiliates. See https://www.adb.org/site/integrity/sanctions. (last accessed 25 November 2016). AMEDD Five Years On, supra note 13, at 24. INT Update 2016, supra note 7, at 26; World Bank Group, “World Bank Sanctioning Guidelines”, http://siteresources.worldbank.org/EXTOFFEVASUS/Resources/WorldBankSanctioningGuidelines.pdf. (last accessed 25 November 2016). See World Bank Group, “Summary of World Bank Group Integrity Compliance Guidelines”, http://pubdocs.worldbank.org/en/489491449169632718/Integrity-Compliance-Guidelines-2-1-11.pdf, at 4. (last accessed 25 November 2016). INT Update 2016, supra note 7, at 25; AMEDD Five Years On, supra note 13, at 8. See B. Stevens and R. Delonis (2013), “Leveling the Playing Field: A Race to the Top”, World Bank Legal Review Volume 5, pp. 413-14 [hereinafter Stevens and Delonis]; WB Phase 1 Review, supra note 15, at 12. AMEDD Five Years On, supra note 13, at 11. Stevens and Delonis, supra note 25, at 414. Namely, the four southern and eastern Mediterranean (SEMED) countries (Egypt, Jordan, Morocco and Tunisia), seven south-east European (SEE) countries (Albania, Bosnia and Herzegovina, Cyprus, FYR Macedonia, Greece, Montenegro and Serbia) and the six Eastern Partnership countries (Armenia, Azerbaijan, Belarus, Georgia, Moldova and Ukraine), plus Croatia, Kazakhstan and Turkey. http://www.ebrd.com/what-we-do/sectors/legal-reform/electronic-communications/assessment.html (last accessed 12 January 2017). http://www.ebrd.com/downloads/legal/telecomms/comparative-assessment-2012.pdf (last accessed 12 January 2017). http://www.g20.utoronto.ca/2009/2009communique0925.html (last accessed 13 January 2017). http://intranet.ebrd.com/ebrdnet/depts/lc2/assessments.shtml (last accessed 13 January 2017). Albania, Bosnia and Herzegovina, FYR Macedonia, Kosovo, Montenegro and Serbia. The NDCs submitted by the parties to date differ in their substance and format. http://www.ebrd.com/what-we-do/get.html (last accessed 4 January 2017). For more information go here: http://www.ebrd.com/what-we-do/sectors/legal-reform.html (last accessed 18 January 2017). Paragraph 5 of the Preamble and Article 45 and 102 of the Tunisian Constitution of 2014, adopted on 26 January 2014. Such provision of state obligations to protect and respect environmental rights and contribute to climate security provide the strongest – albeit the most general – possible foundations in Tunisian law for the implementation of the country’s NDC. Law N° 2016-71 of 30 September 2016, Article 4 and 19. 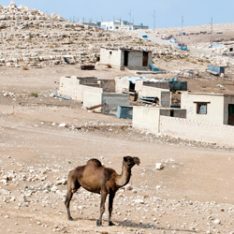 http://www.ebrd.com/news/2016/ebrd-supports-solar-power-in-jordan.html (last accessed 4 January 2017). https://www.steg.com.tn/en/institutionnel/mission.html (last accessed 4 January 2017). http://www.ndcpartnership.org/ (last accessed 4 January 2017). http://thecommonwealth.org/ (last accessed 4 January 2017). http://newsroom.unfccc.int/ (last accessed 4 January 2017). http://www.unep.org/ (last accessed 4 January 2017). http://www.worldbank.org/en/events/2016/12/05/law-justice-and-development-week-2016 (last accessed 4 January 2017). In the Paris agreement, environmental integrity is key in relation to NDC implementation. For instance, Article 7.5 specifically provides that adaptation action should be integrated into the relevant socioeconomic and environmental policies and actions, where appropriate, and Article 6 provides that the parties shall promote sustainable development and ensure environmental integrity and transparency when implementing their NDCs. http://www.doingbusiness.org/ (last accessed 20 December 2016). http://registries.opencorporates.com (last accessed 20 December 2016). http://www.doingbusiness.org/~/media/WBG/DoingBusiness/Documents/Annual-Reports/English/DB17-Report.pdf (last accessed 20 December 2016). http://www.ebrd.com/what-we-do/sectors/legal-reform/ppp-concessions/sector-assessment.html (last accessed 17 January 2017). http://ppp.worldbank.org/public-private-partnership/library/uncitral-legislative-guide-privately-financed-infrastructure-projects (last accessed 17 January 2017). http://www.ebrd.com/what-we-do/sectors/legal-reform/ppp-concessions.html (last accessed 17 January 2017). www.eib.org/epec/g2g/index.htm – (Guidance 1) (last accessed 17 January 2017). http://www.uncitral.org/uncitral/en/commission/colloquia/public-private-partnerships-2014.html (last accessed 17 January 2017). BOT/CET Law number°05/2014 dated 10 February 2014. http://eur-lex.europa.eu/legal-content/EN/ALL/?uri=CELEX:32004L0018 (last accessed 17 January 2017). http://eur-lex.europa.eu/legal-content/EN/TXT/?uri=celex:32014L0024 (last accessed 17 January 2017). Examples include the PPP laws of India, Thailand and Vietnam and Ghana’s draft PPP law. http://www.ebrd.com/news/2014/ebrd-launches-infrastructure-project-preparation-facility.html (last accessed 17 January 2017). http://www.unece.org/info/media/news/economic-cooperation-and-integration/2016/putting-people-first-in-ppps-for-sustainable-development/doc.html (last accessed 17 January 2017).